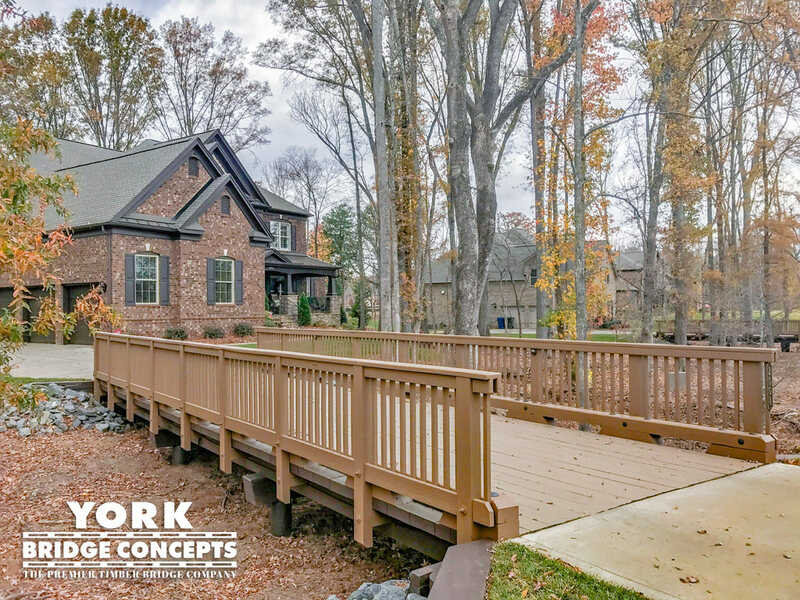 Nested in the rolling hills of north Georgia, you will find the Southeast’s Validus Senior Living Facility’s, Inspired Living at Alpharetta. 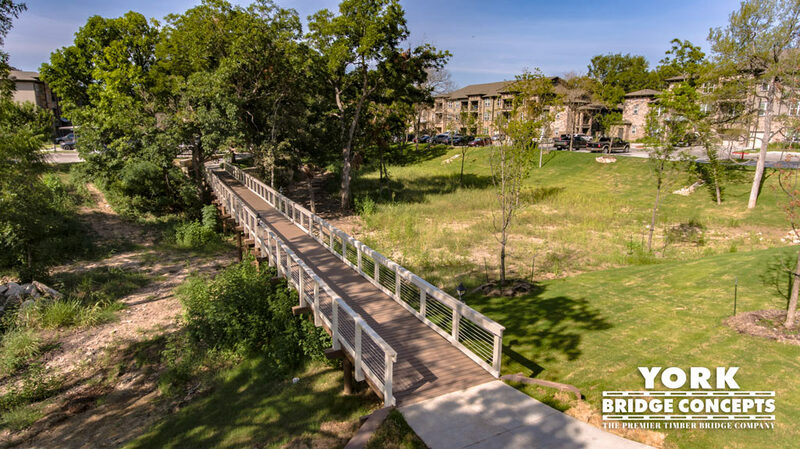 A vibrant community mixed into luxurious acres of spectacular views and exclusive amenities, expressly designed for the ages. 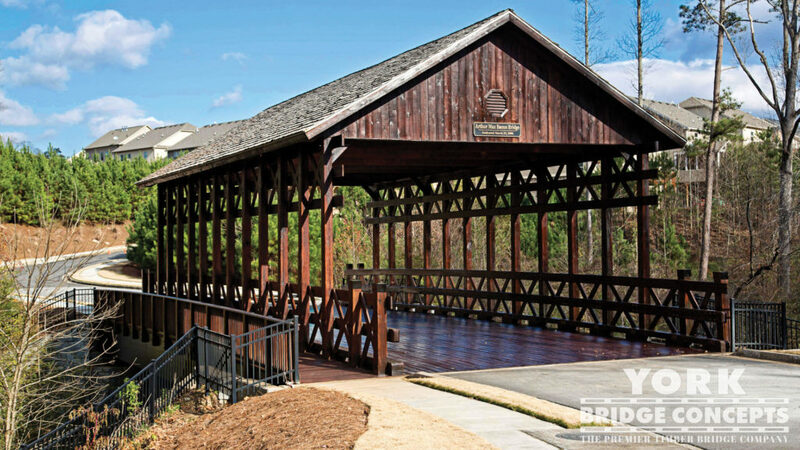 Adjacent to Alpharetta’s main corridors, this community required a strong yet beautiful connection to all the town has to offer. 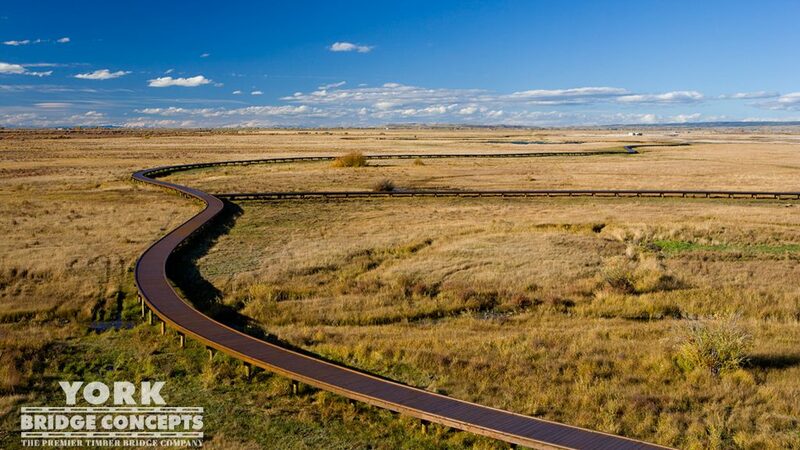 Alongside the peaks of Georgian hills are deep ravines and floodplains that weave through the landscape. 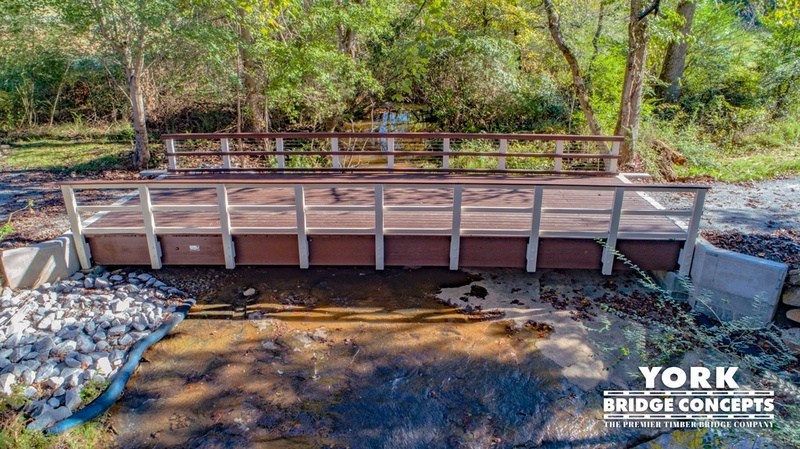 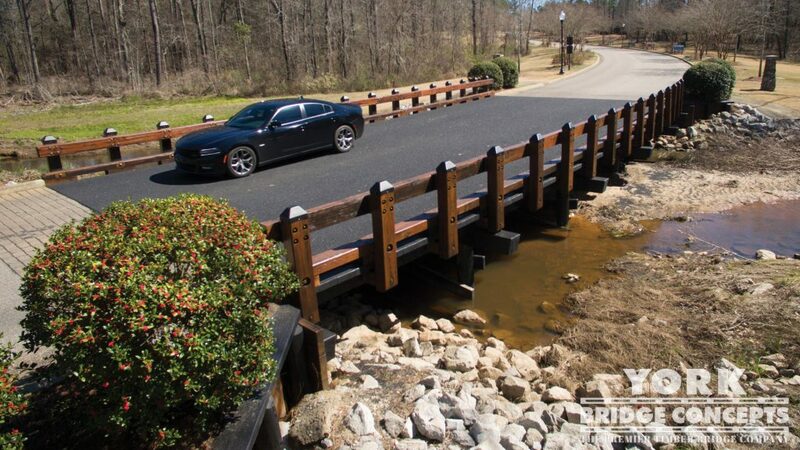 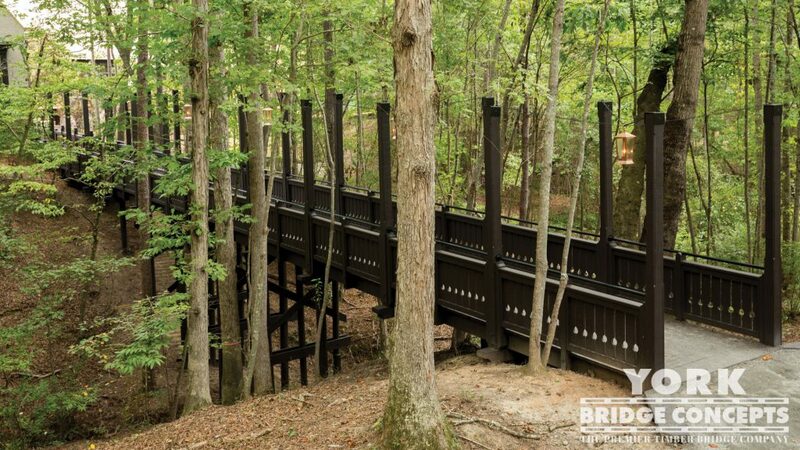 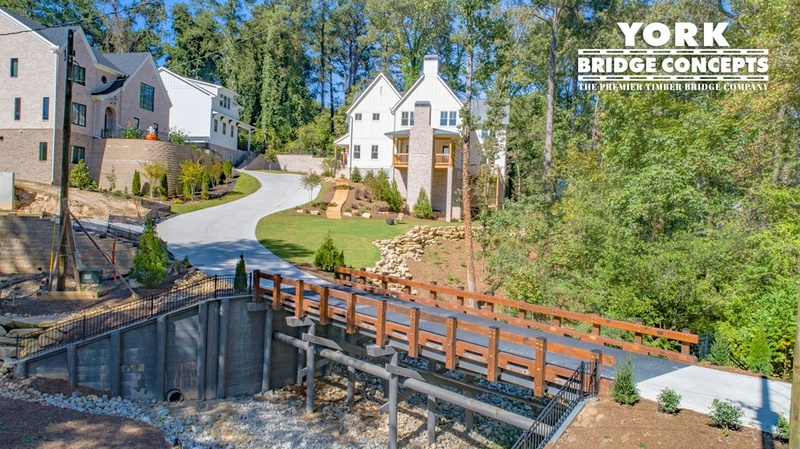 An essential component to Inspired Living’s new path winding its way to Alpharetta was a bridge able to glide 40’ above a deep floodplain with bubbling creek bed. 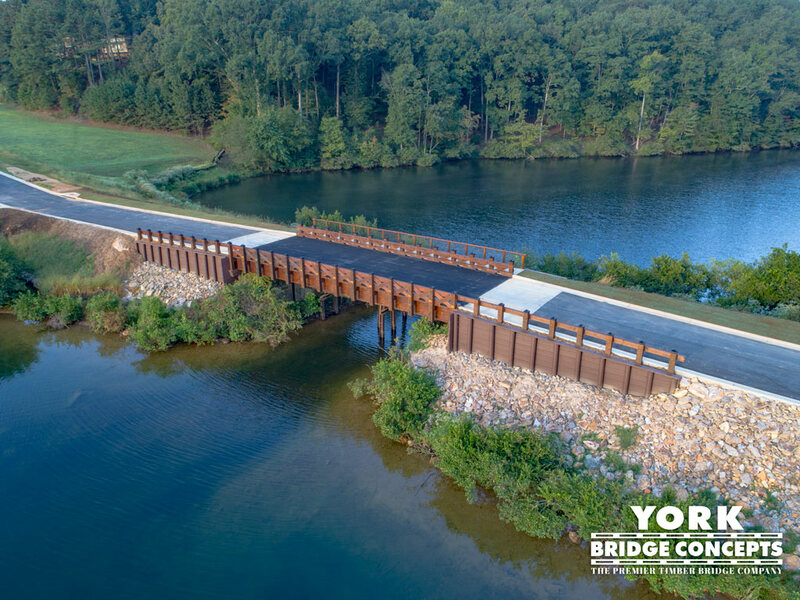 YBC’s DeceroTM Design Team and Field Crew faced a number of challenges that required expert precision in preparation of the construction of the crossing. 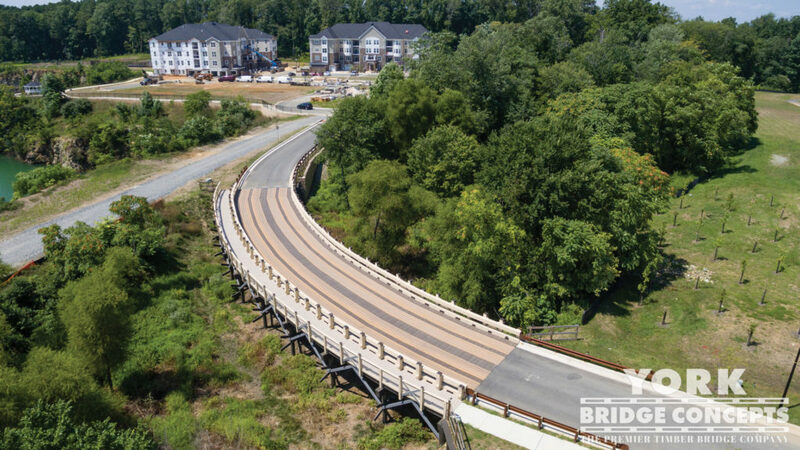 First, the bridge was designed to meet existing conditions with skewed entrances to address the road’s curvature including a subtle camber roll, pre-drilled foundations, and retaining wall connections. 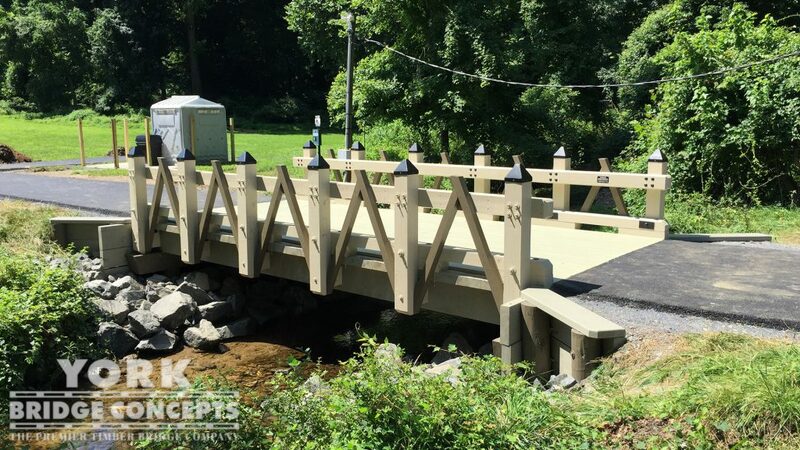 Secondly, the Field Crew utilized their skills to erect the bent towers pile by pile 35’ in ground and set with concrete, followed by exacting the rest of the substructure details for a clean application of the bridge’s superstructure. 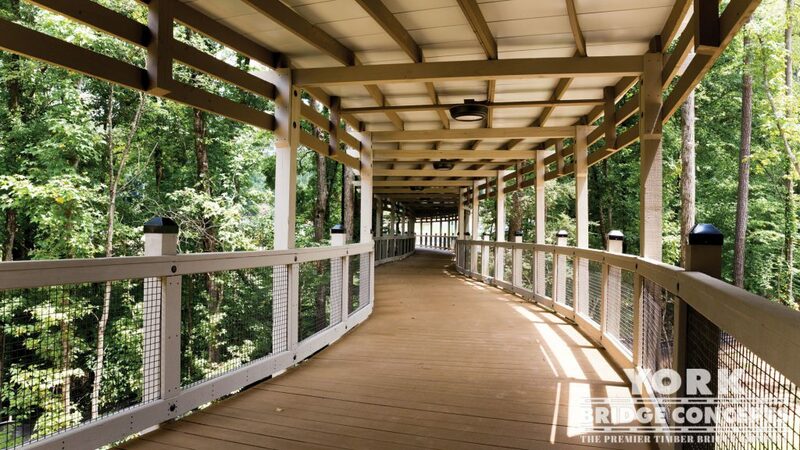 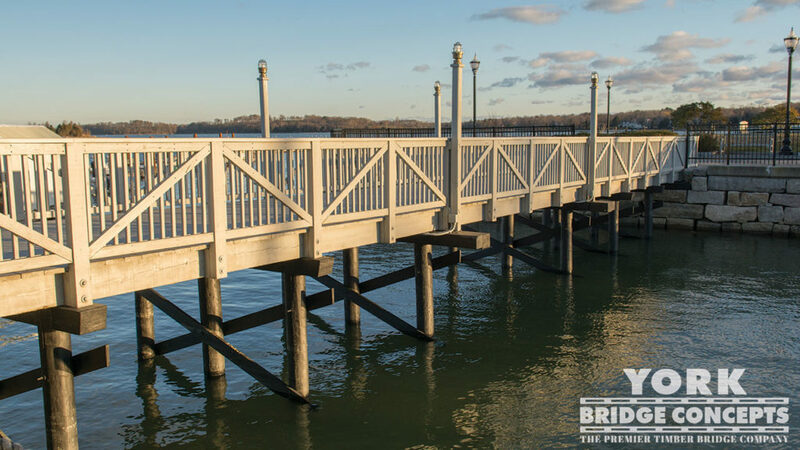 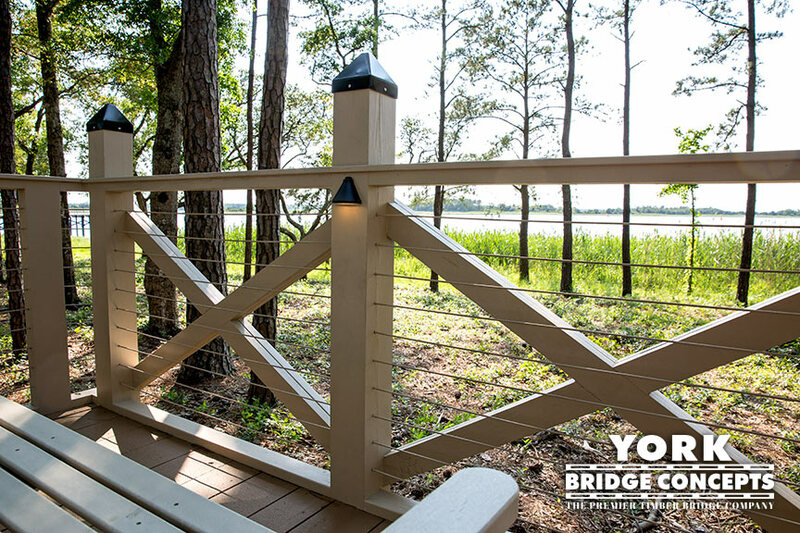 Once complete, the bridge was customized to the Inspired Living aesthetic with a crisp yet neutral color palette, fresh wire mesh handrails, and classic peaked post caps. 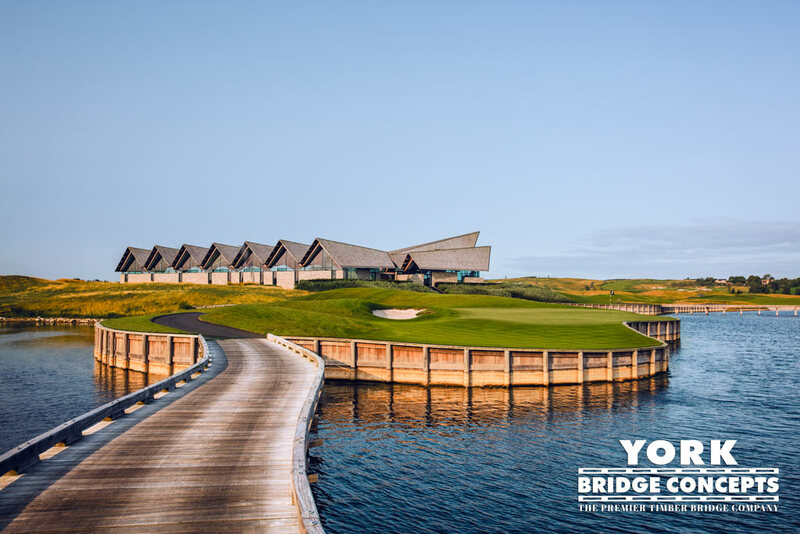 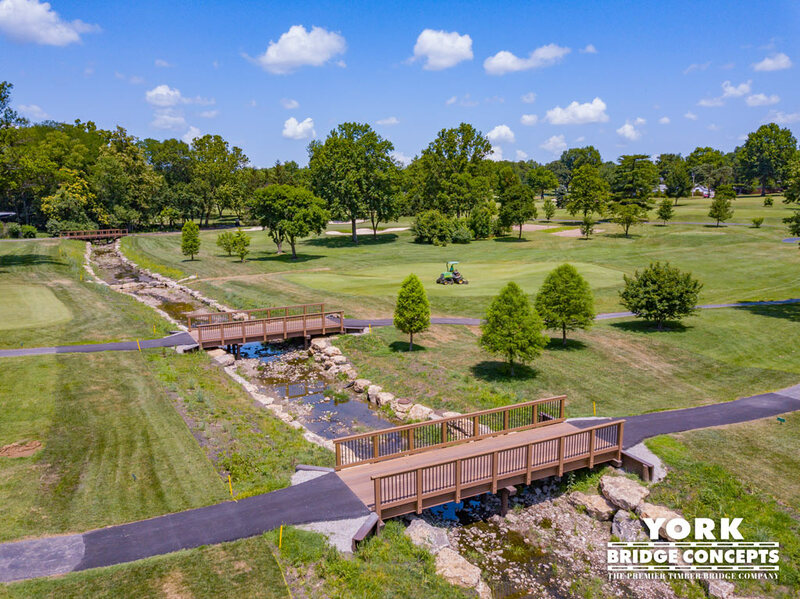 In a community for the ages, YBC built a bridge for the generations with timeless designed aesthetics constructed on a foundation of hard work and expertise. 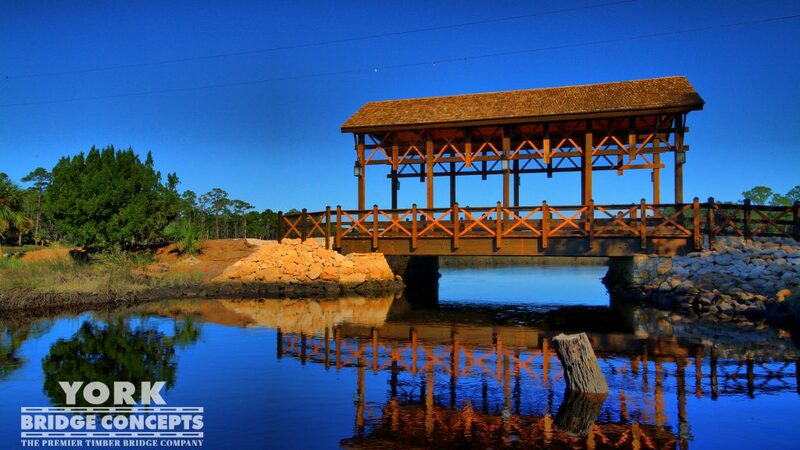 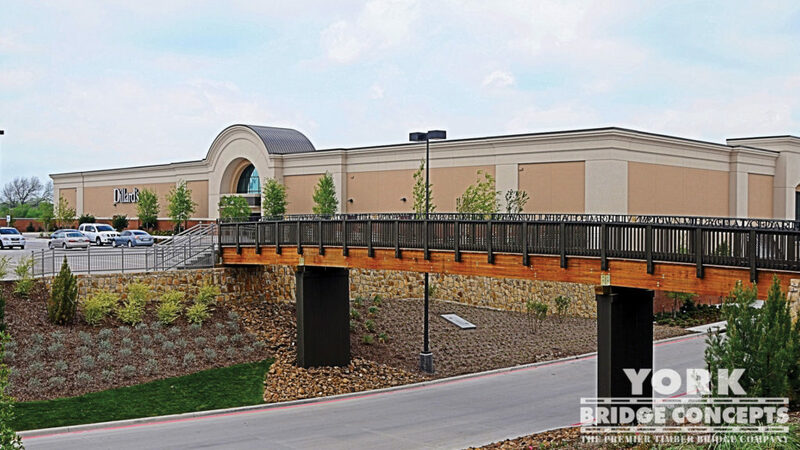 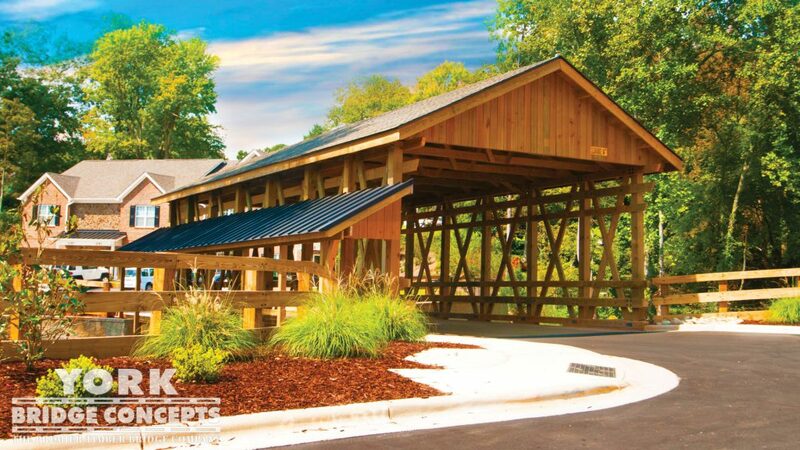 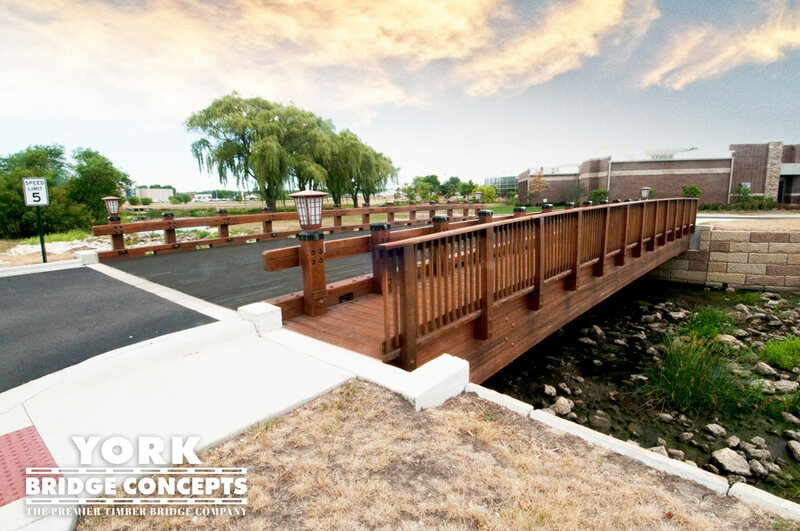 "Baxter Construction chose York Bridge Concepts because of their outstanding reputation. 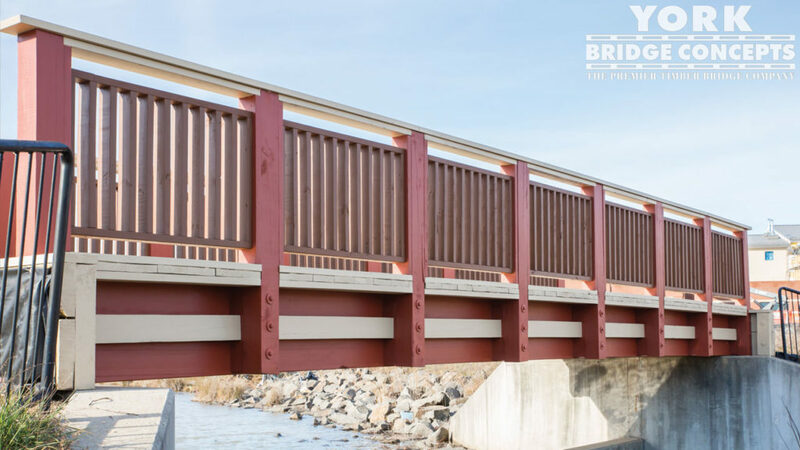 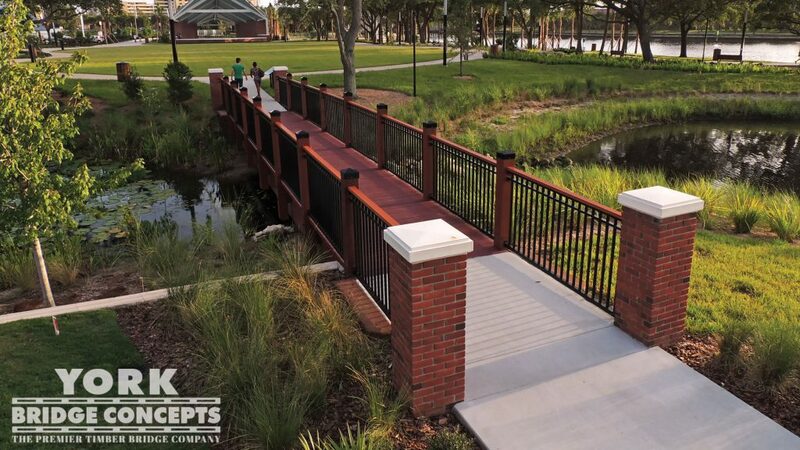 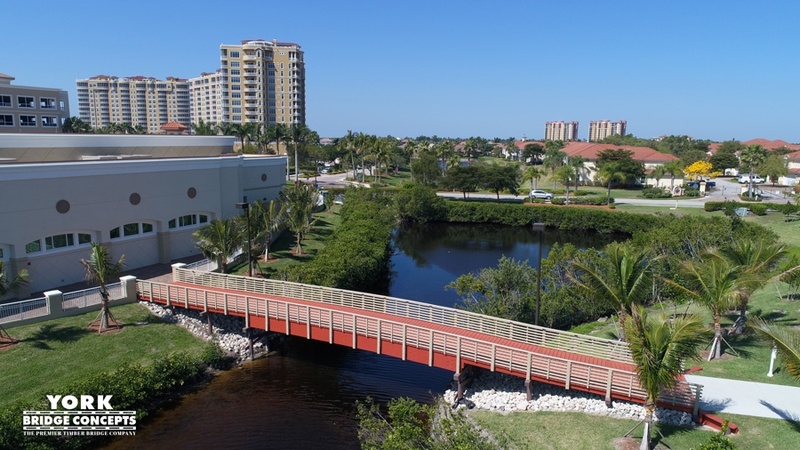 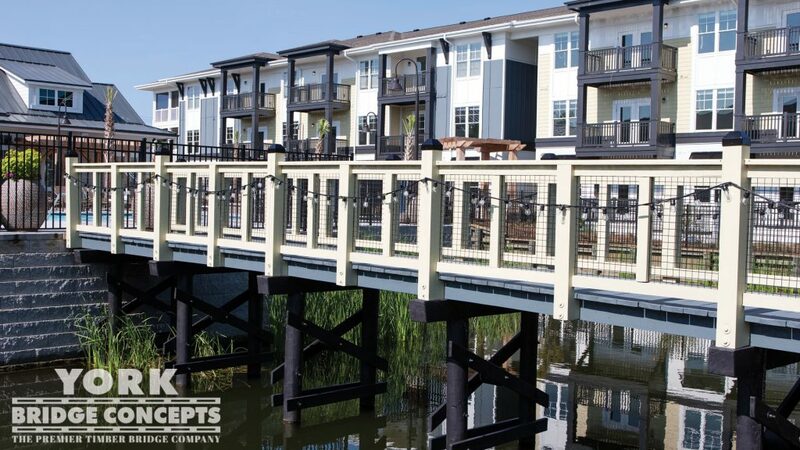 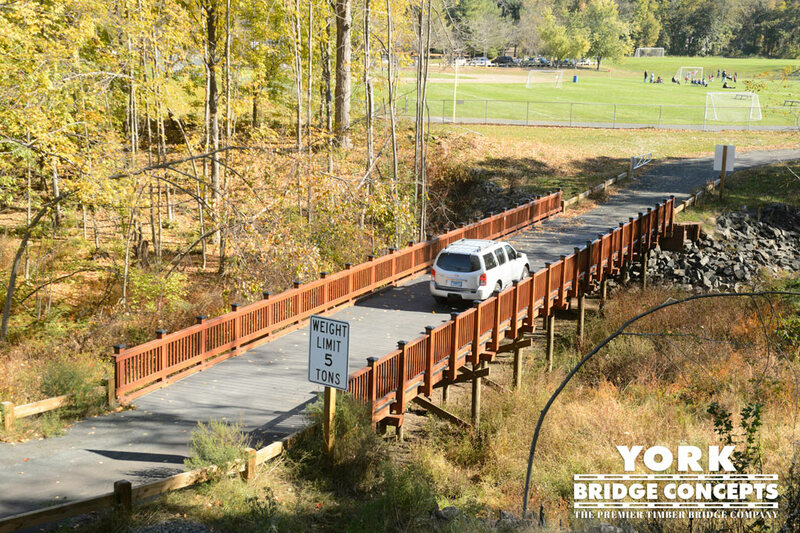 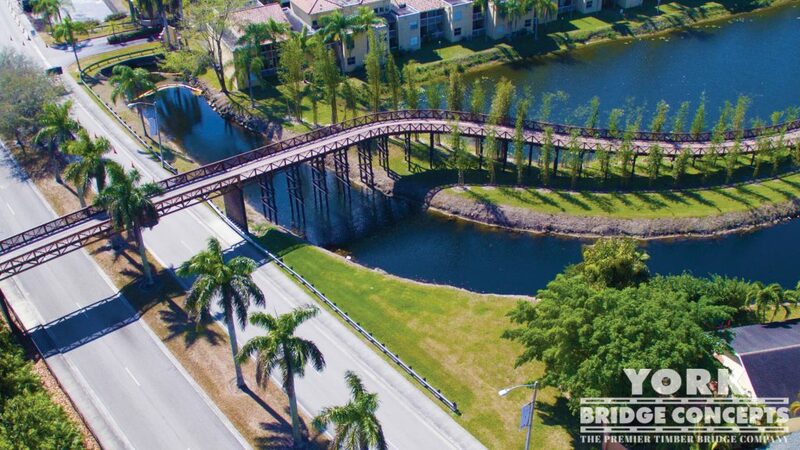 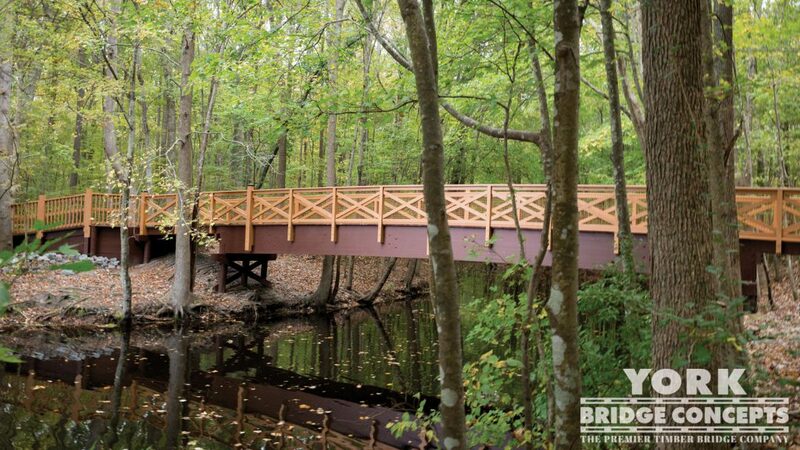 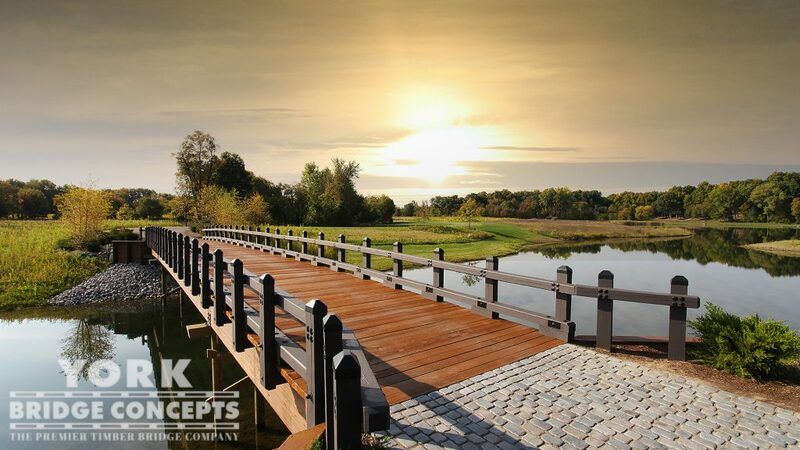 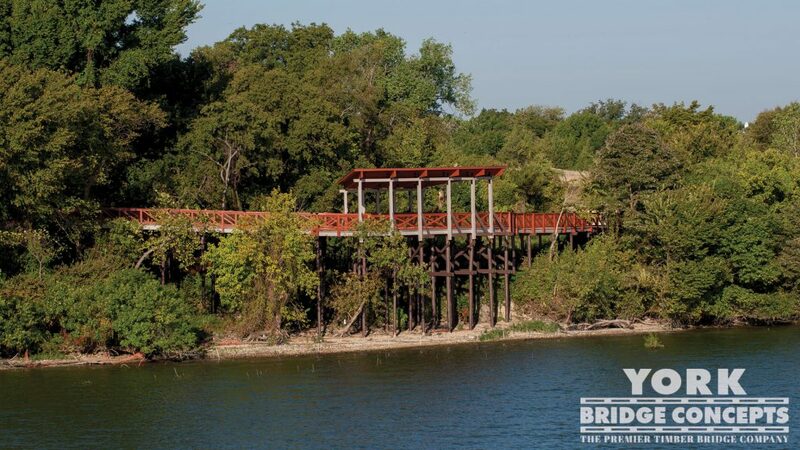 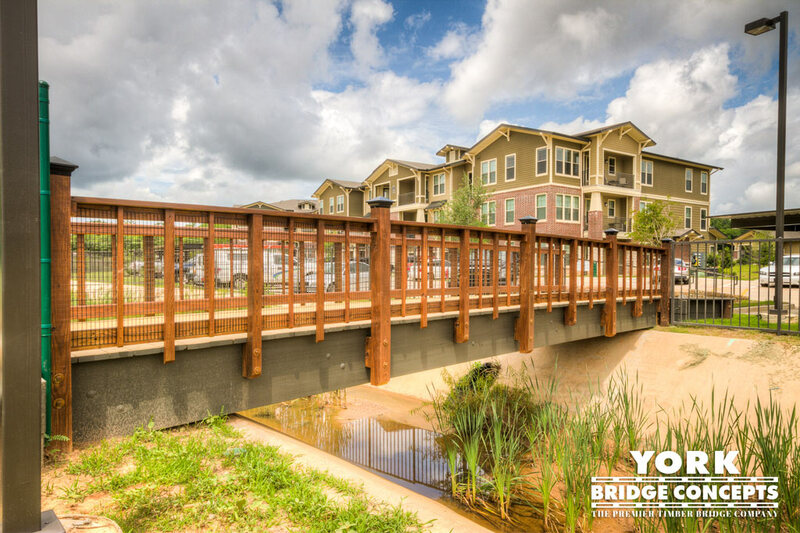 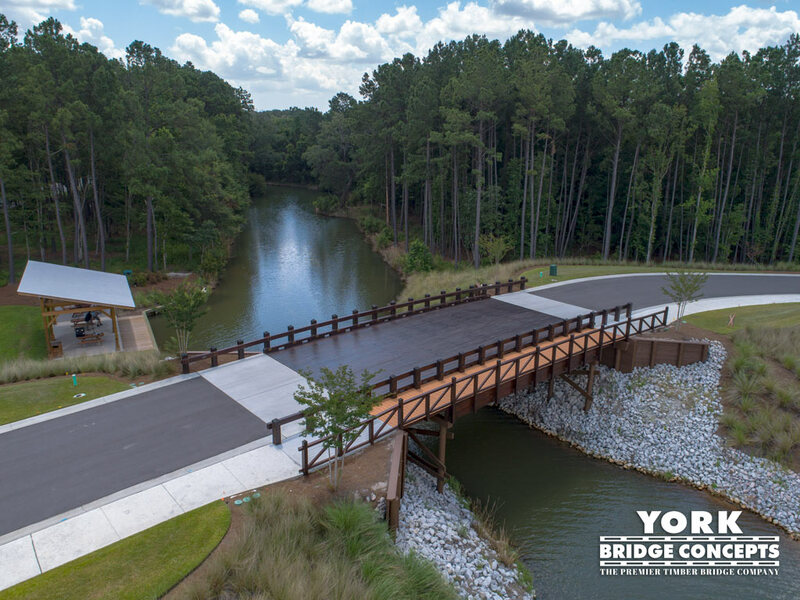 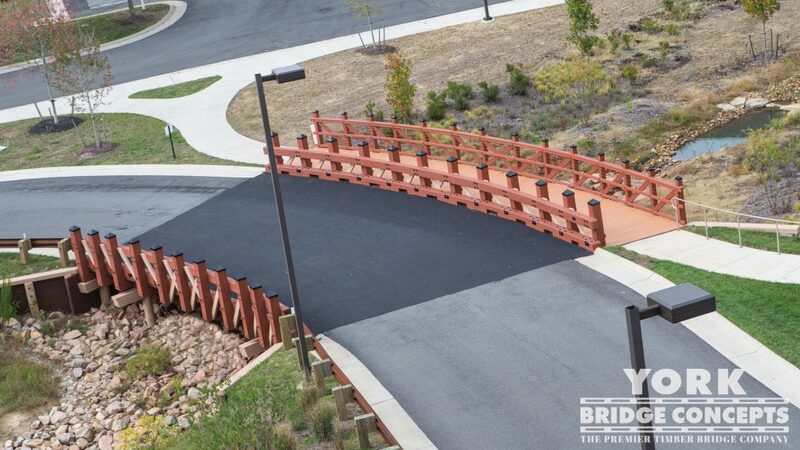 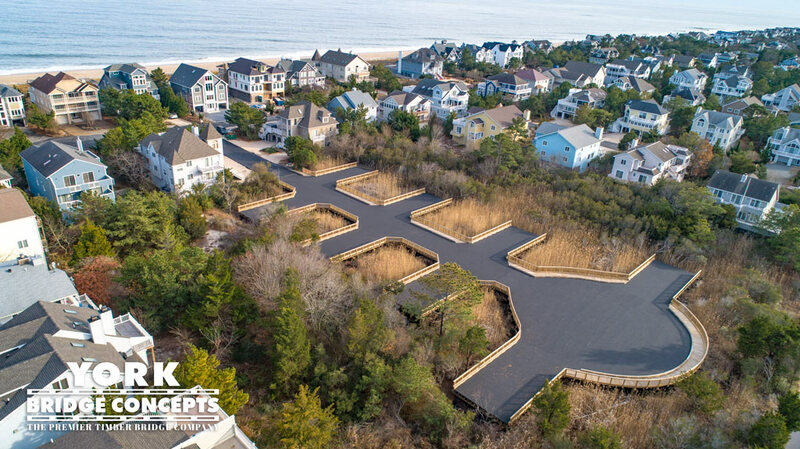 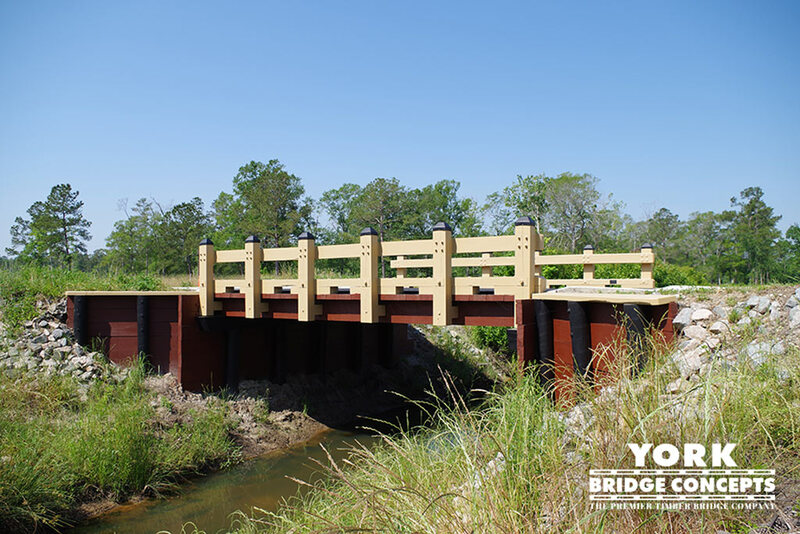 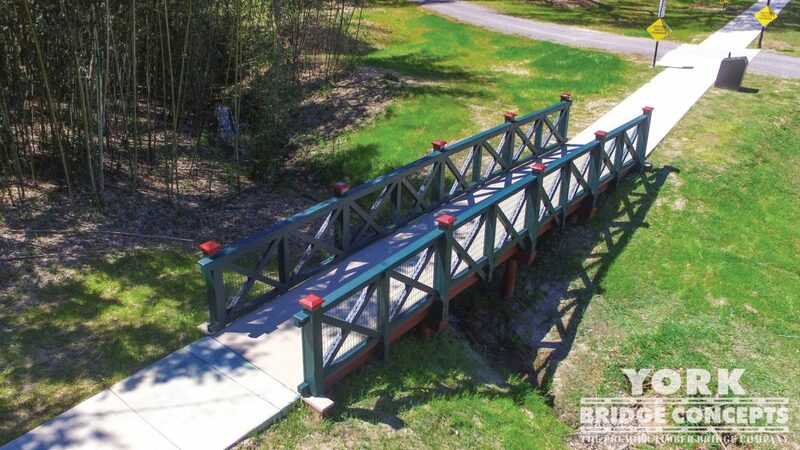 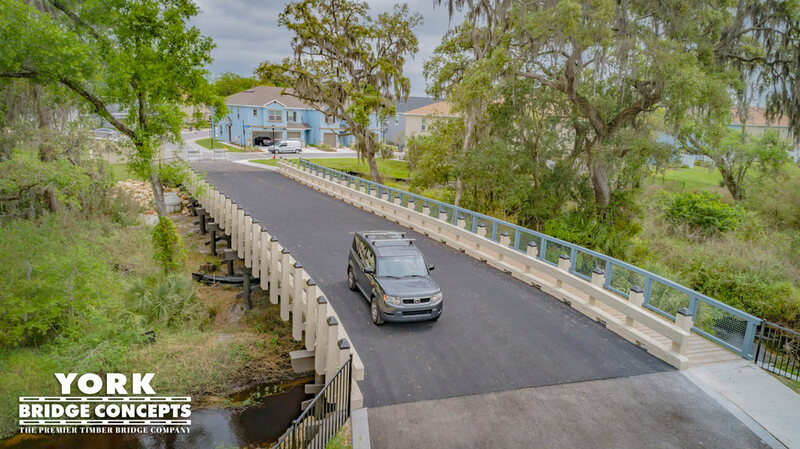 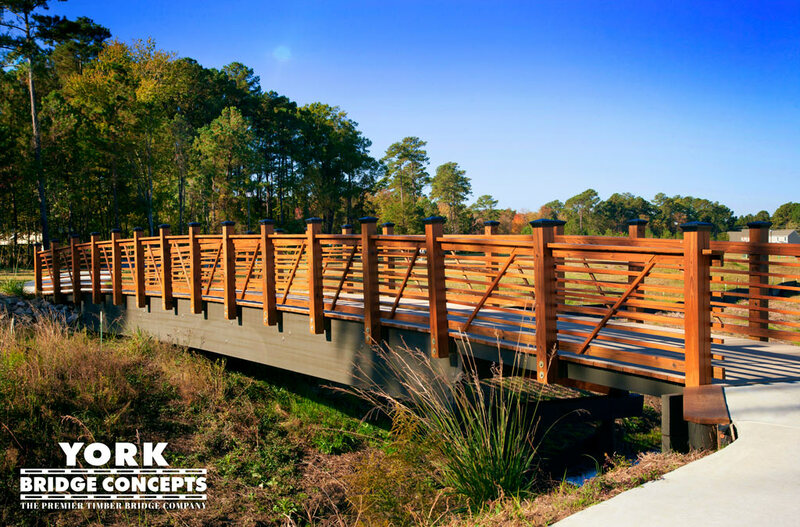 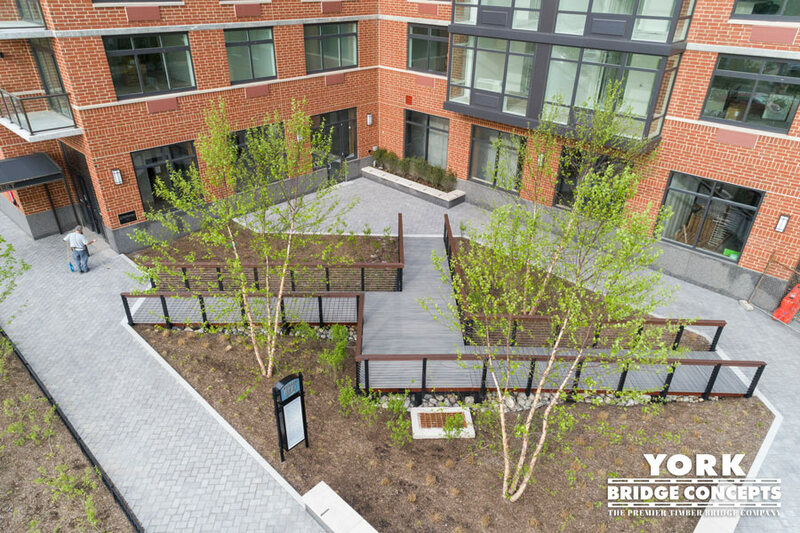 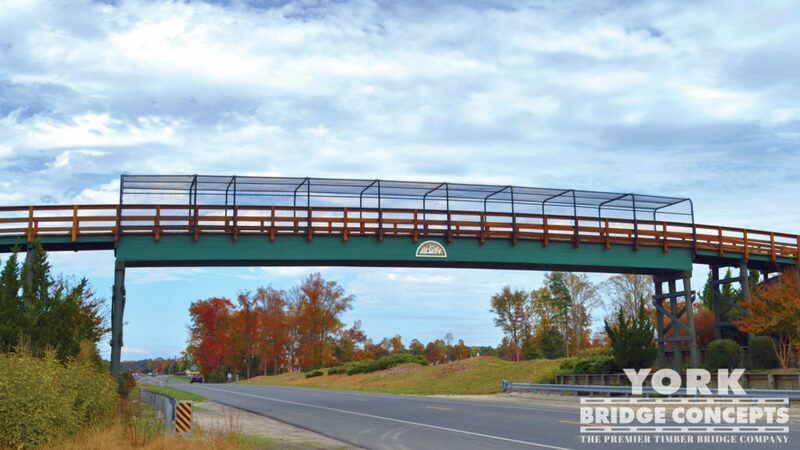 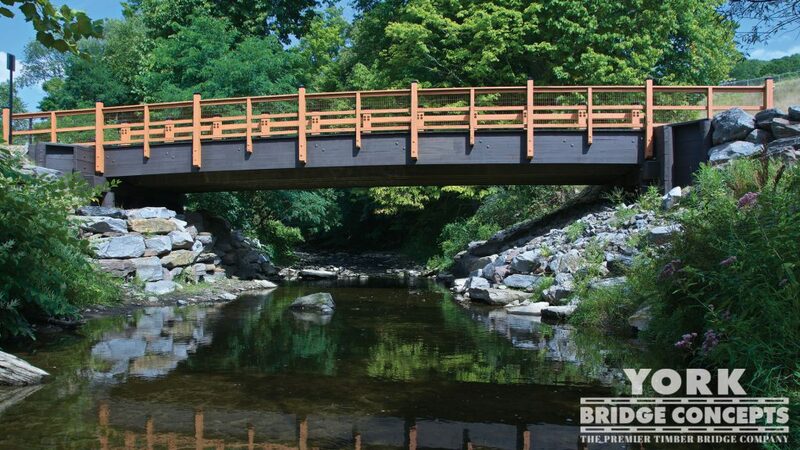 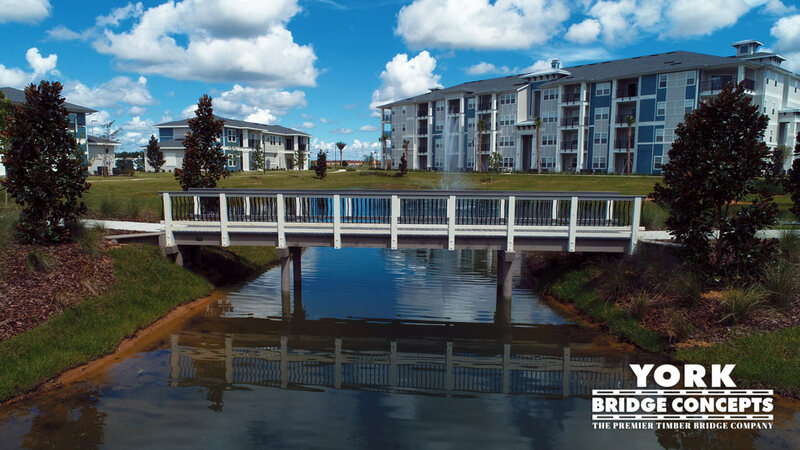 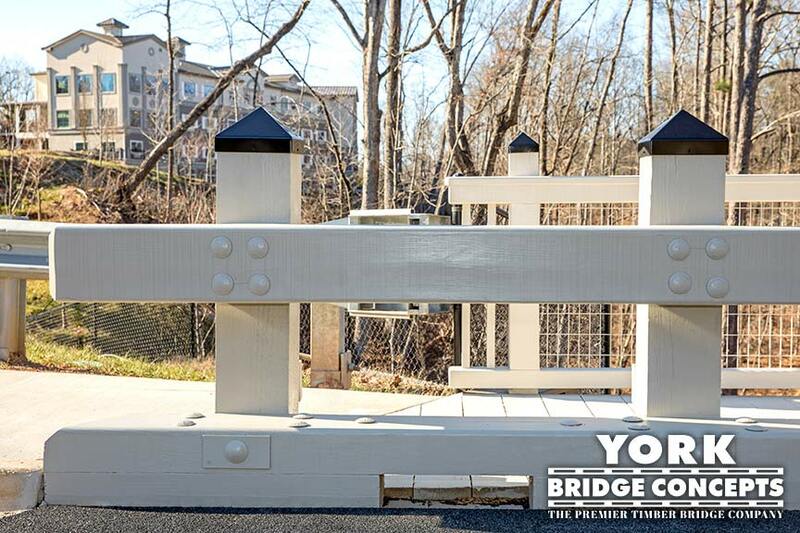 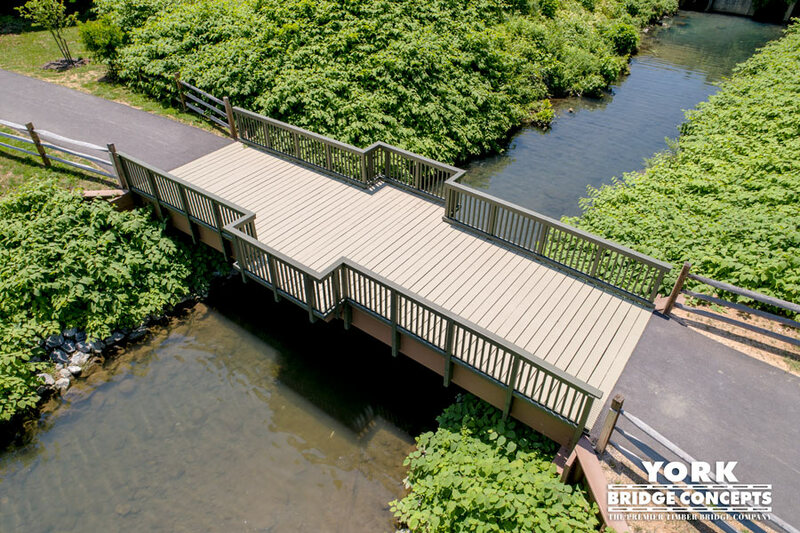 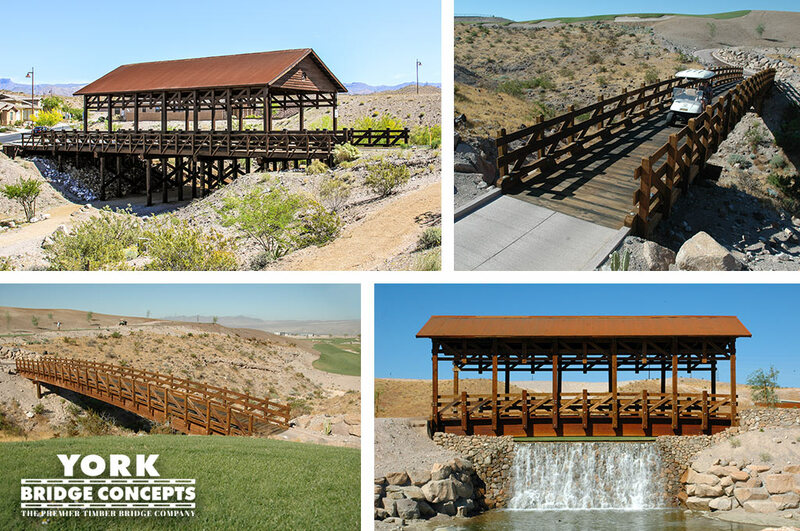 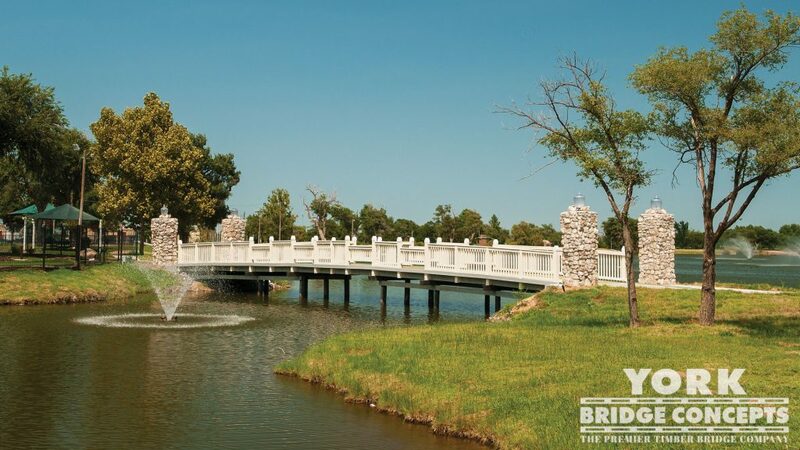 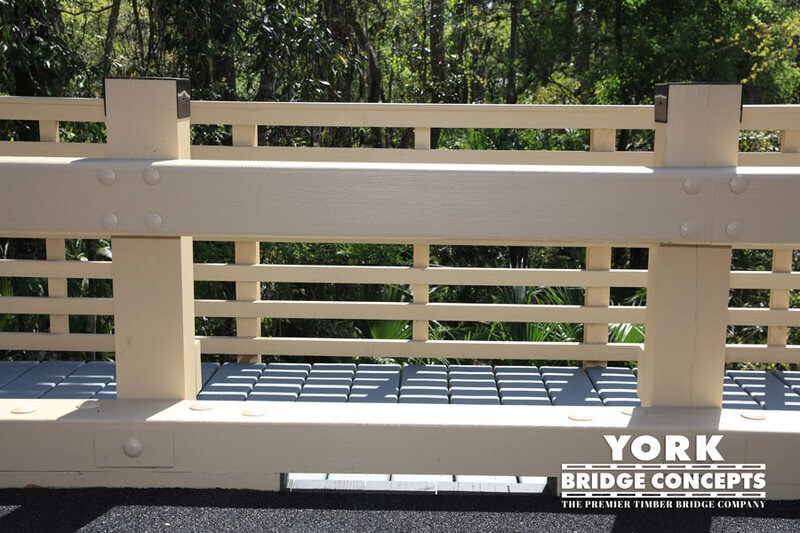 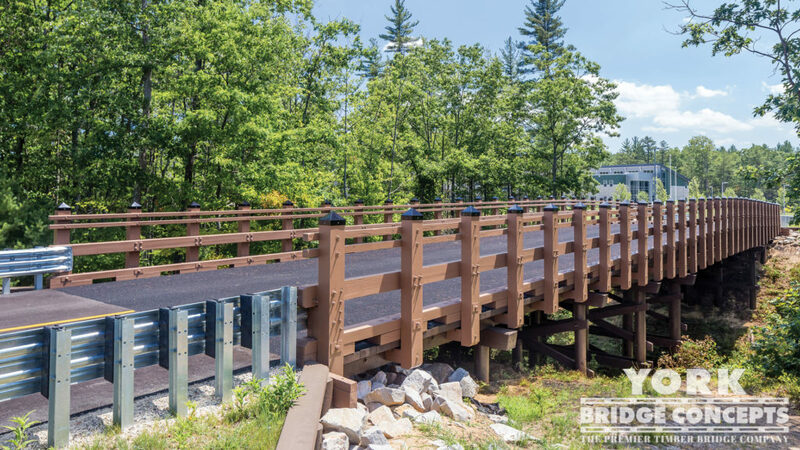 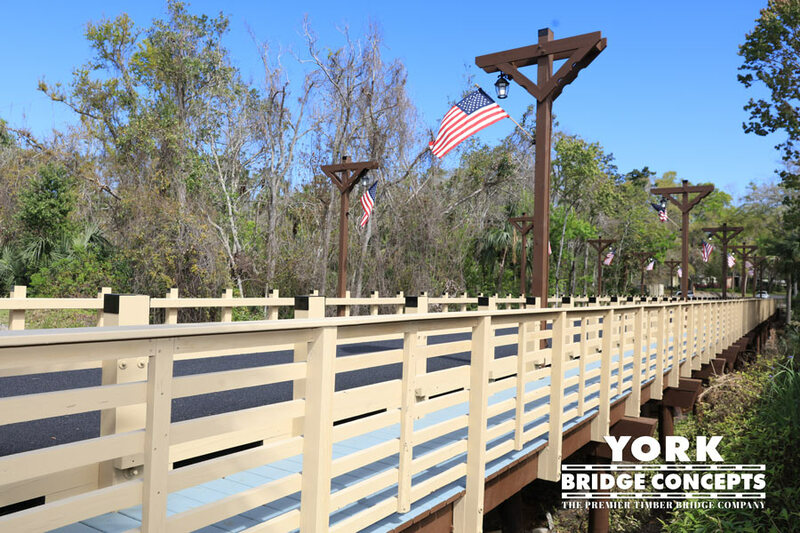 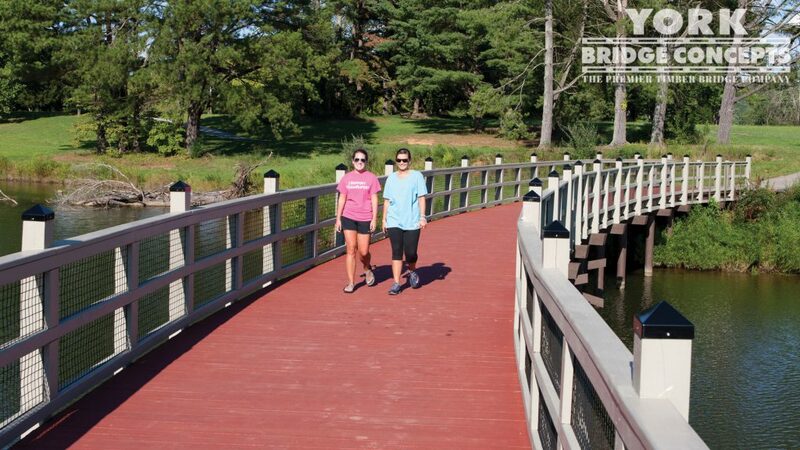 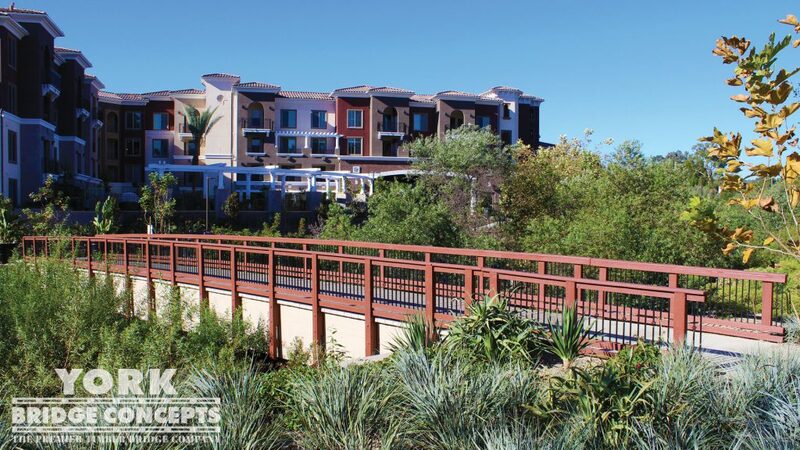 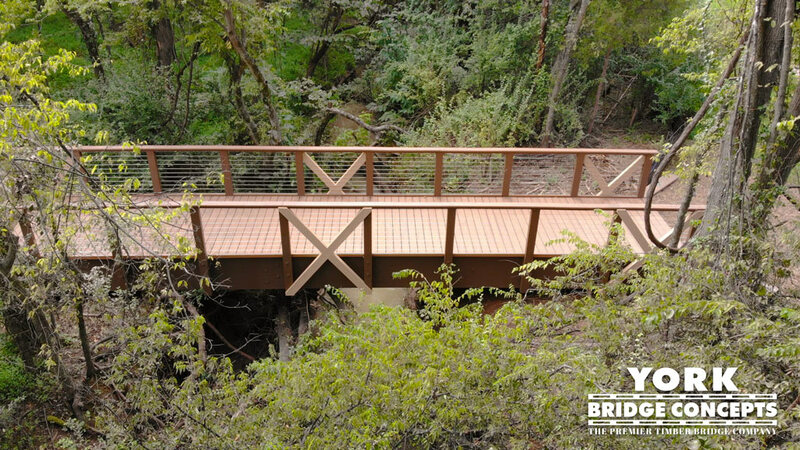 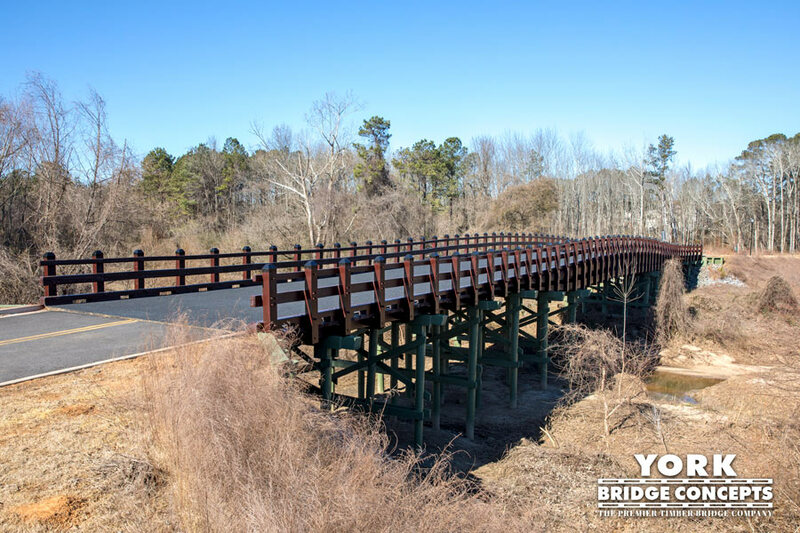 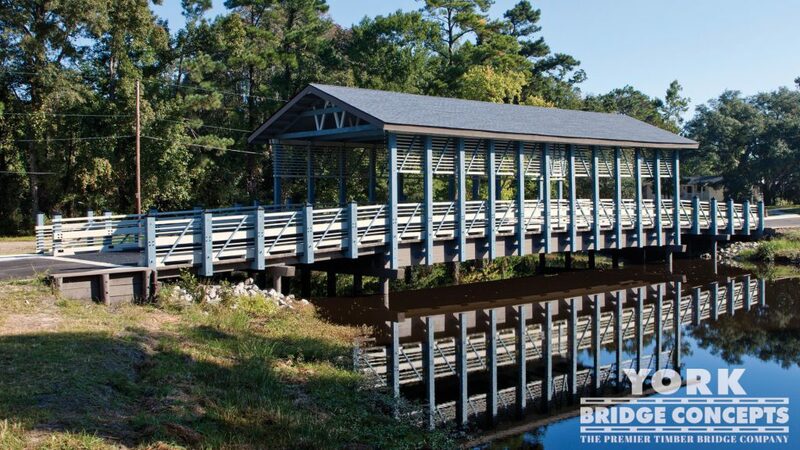 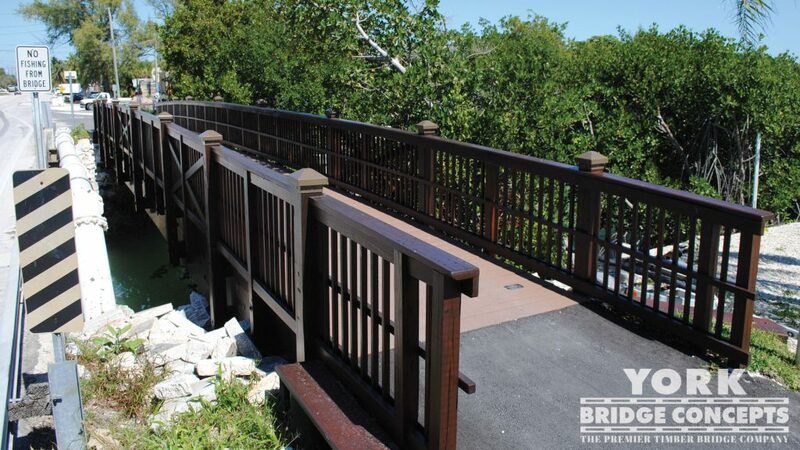 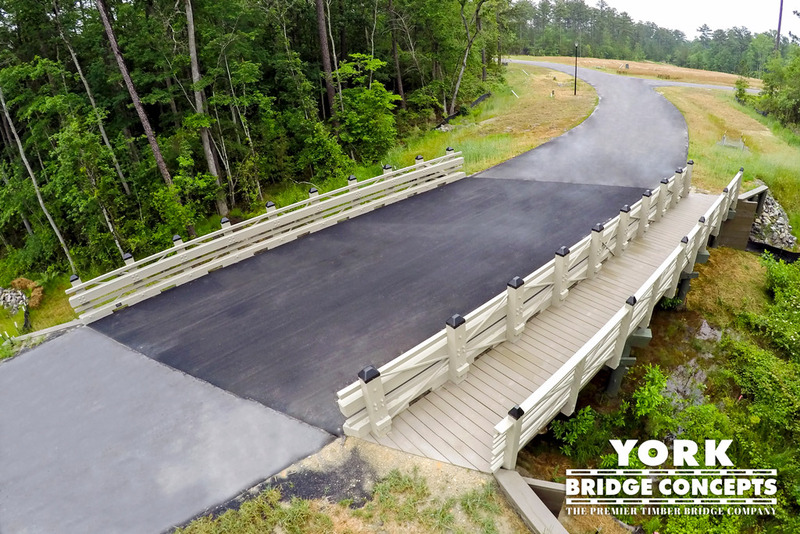 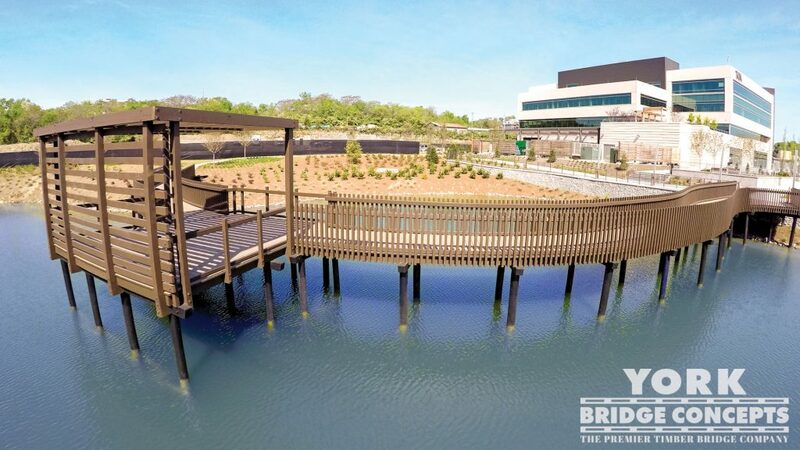 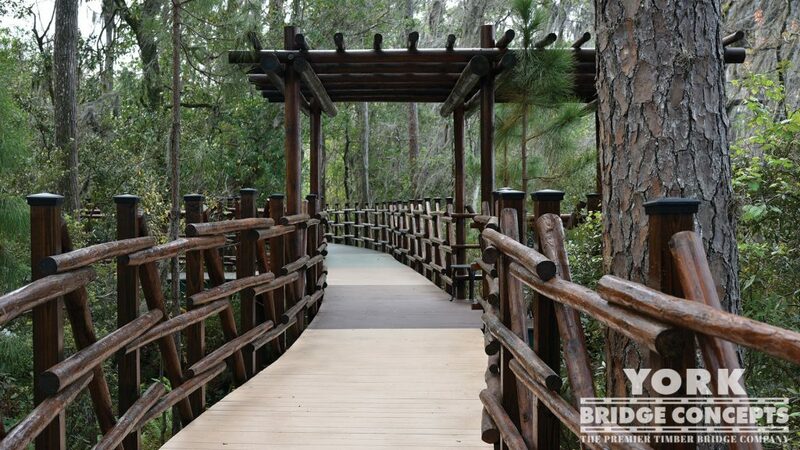 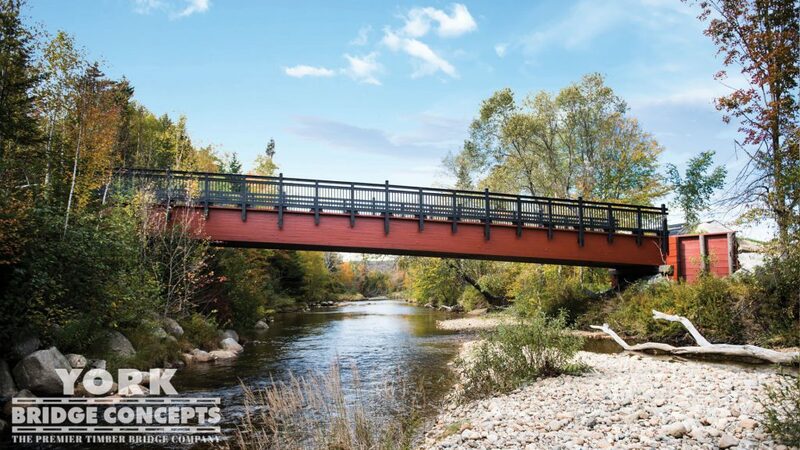 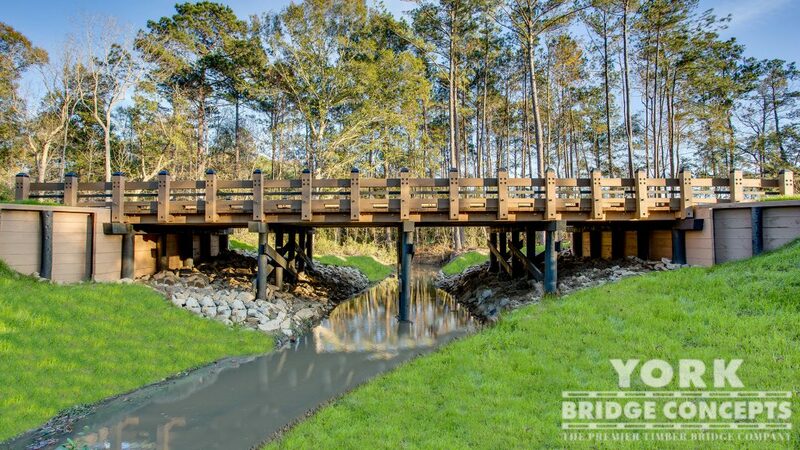 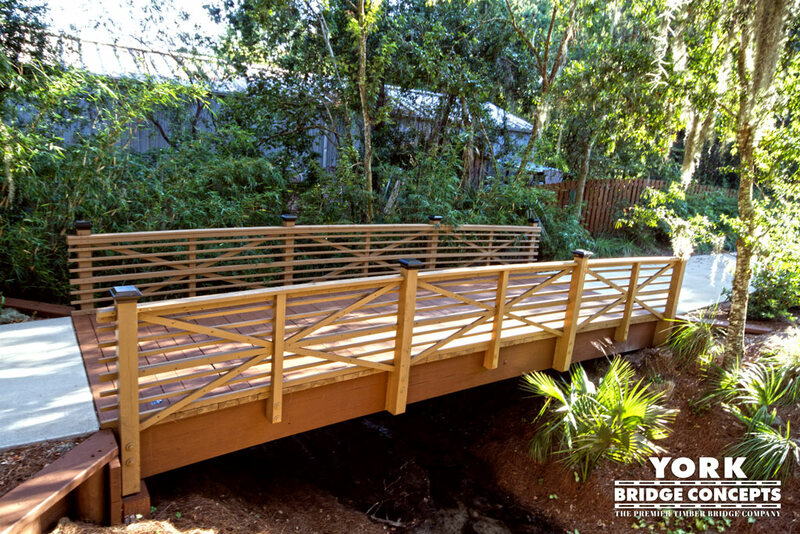 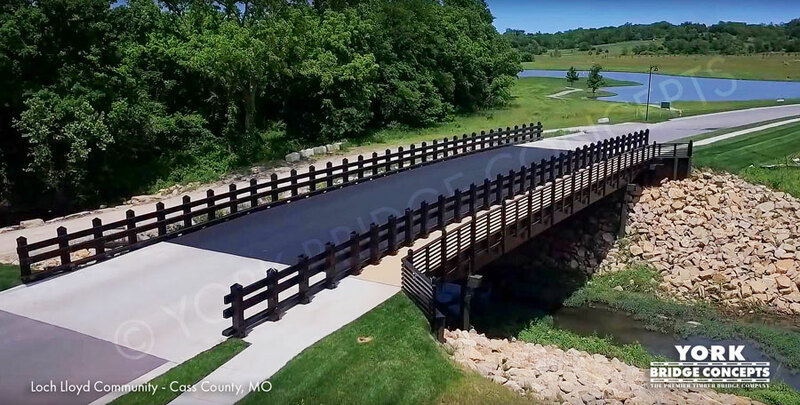 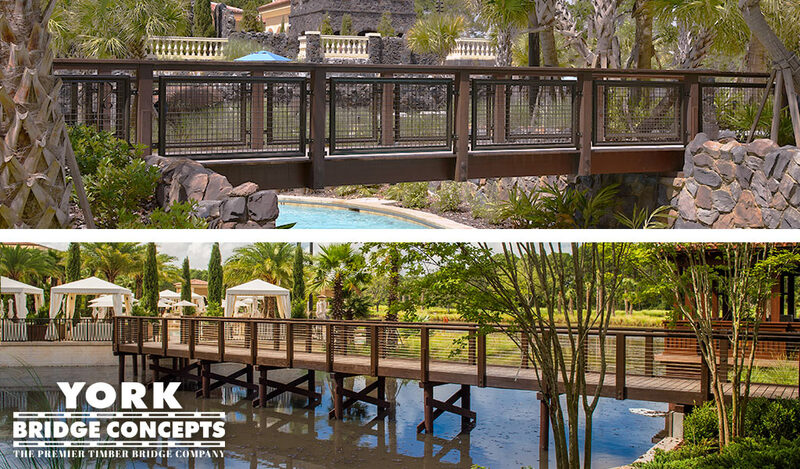 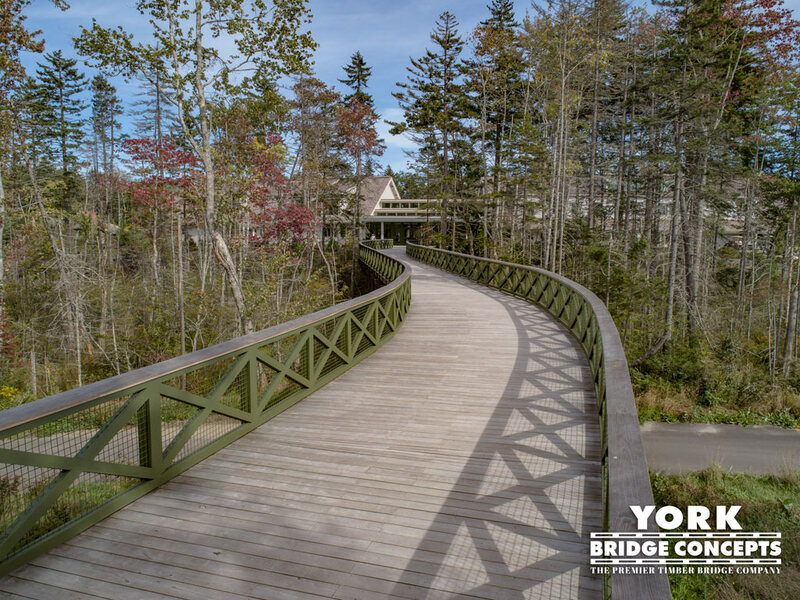 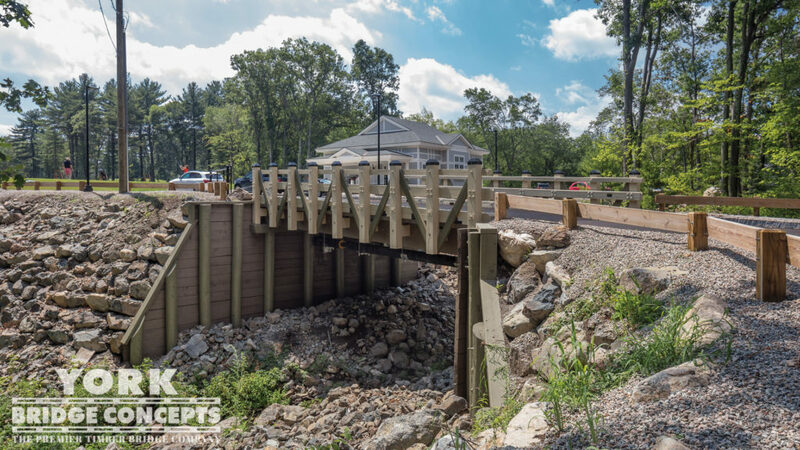 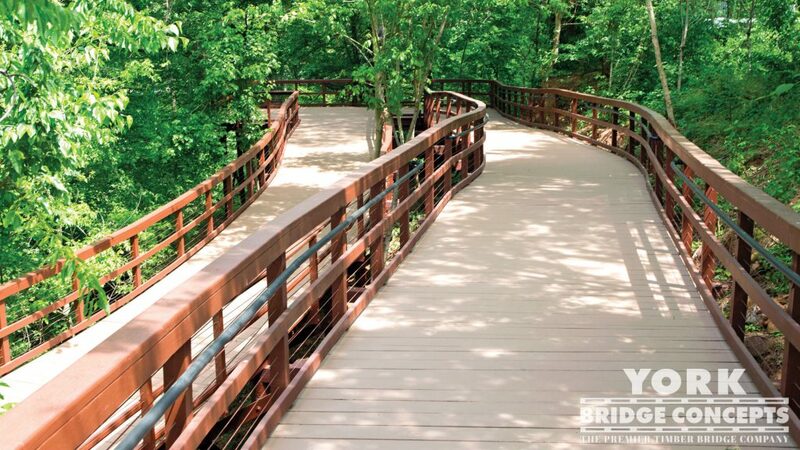 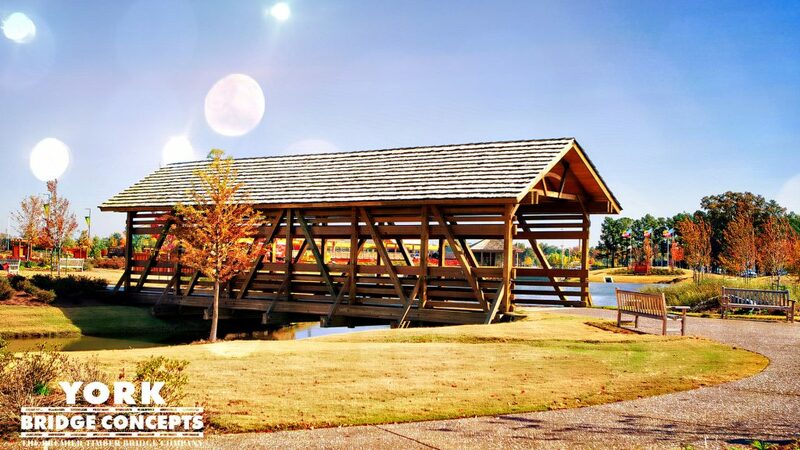 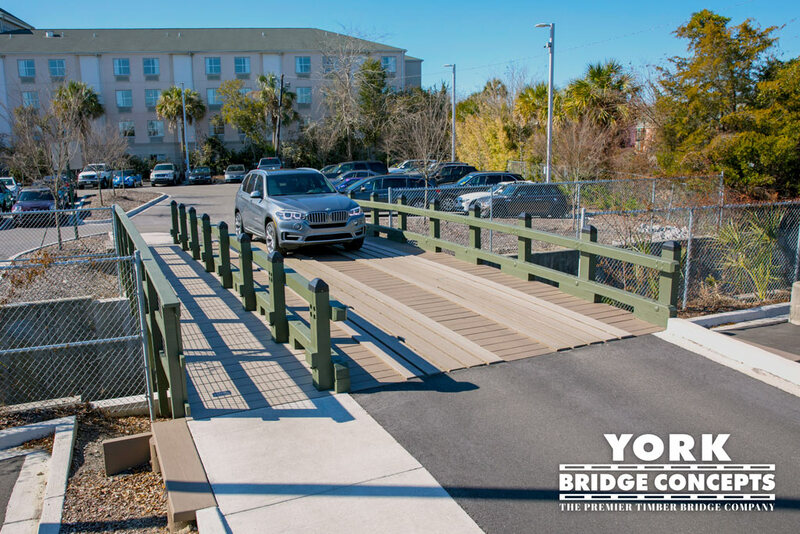 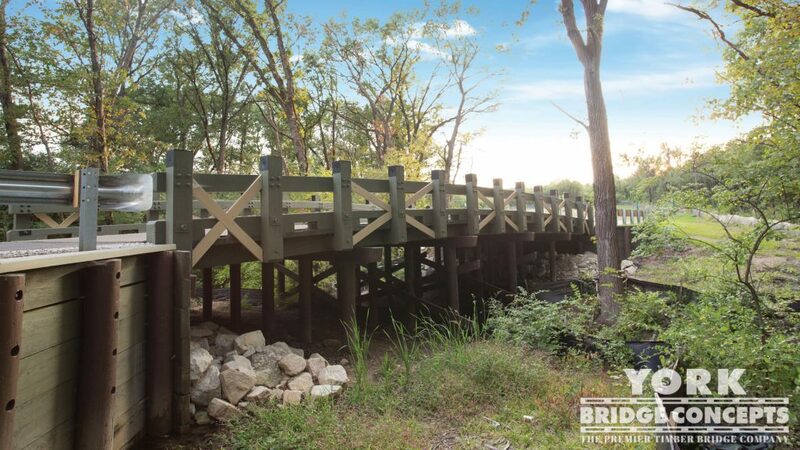 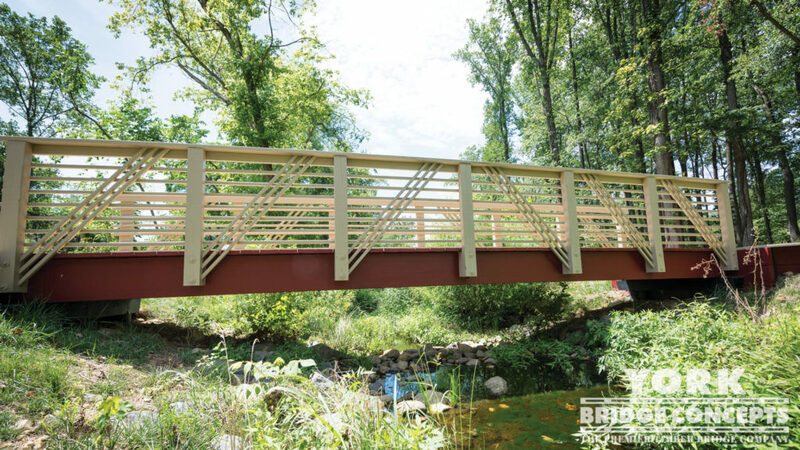 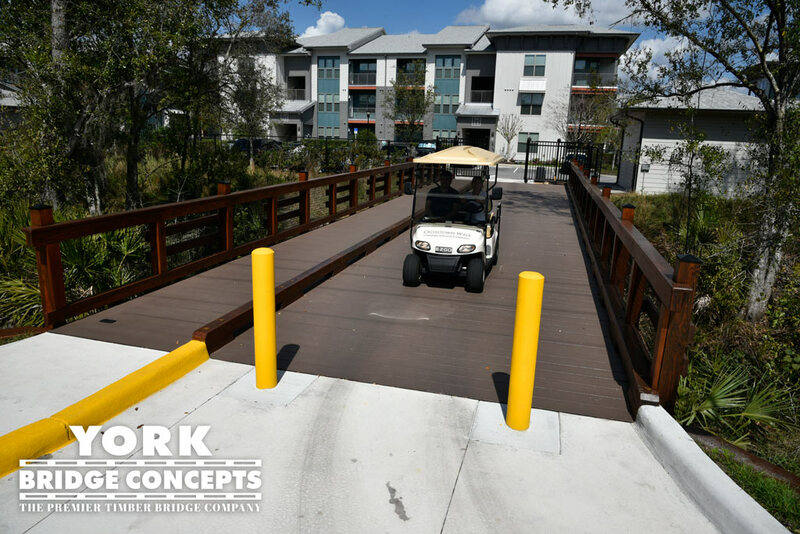 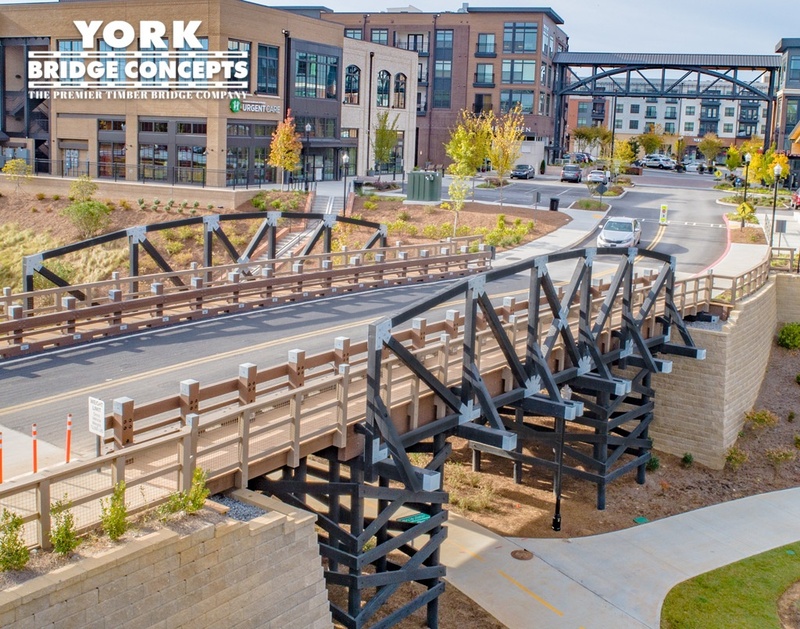 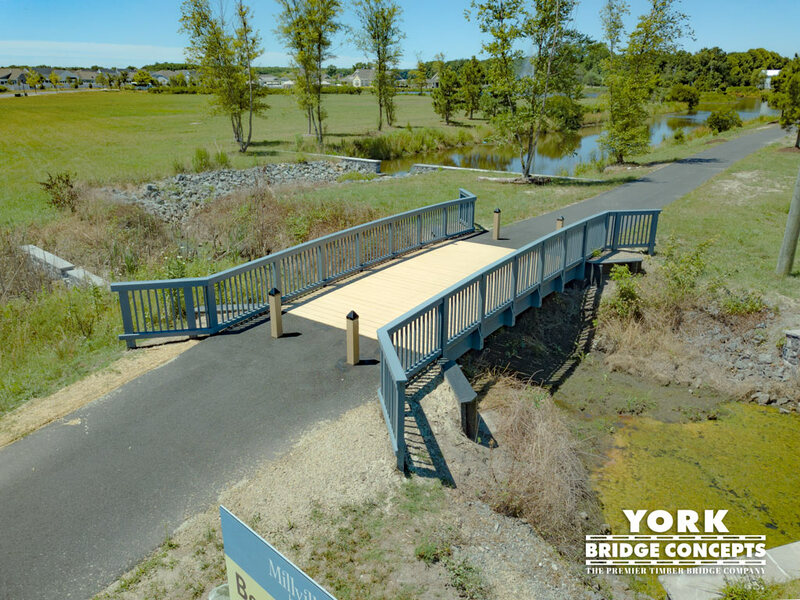 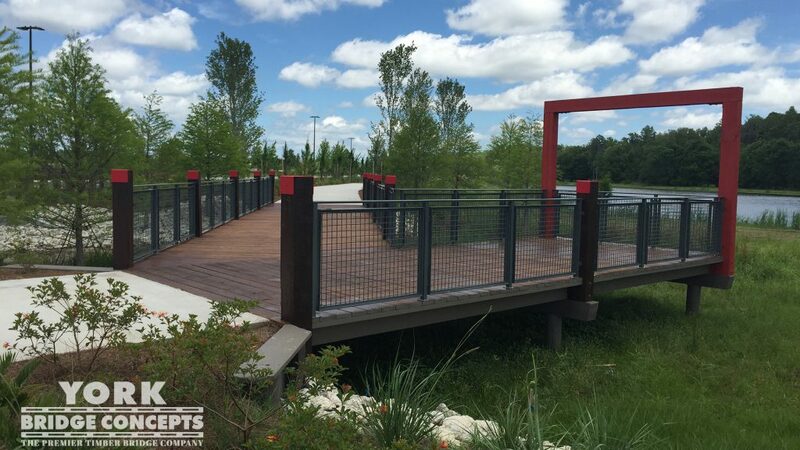 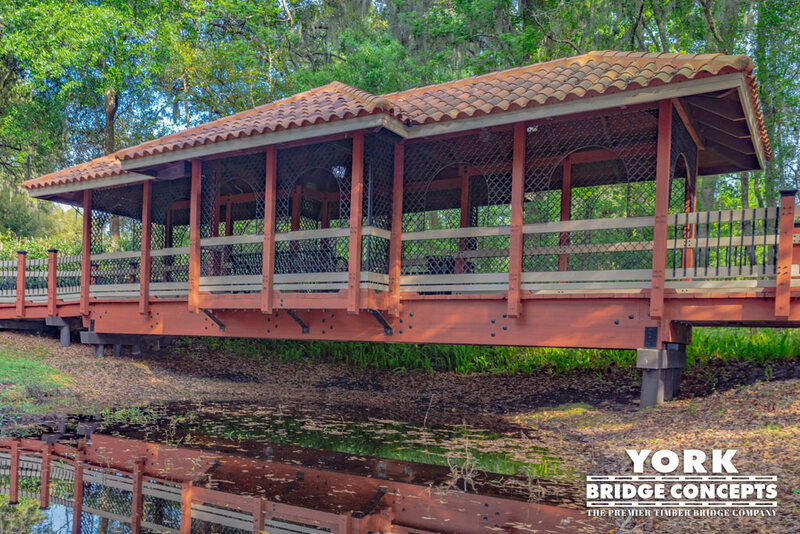 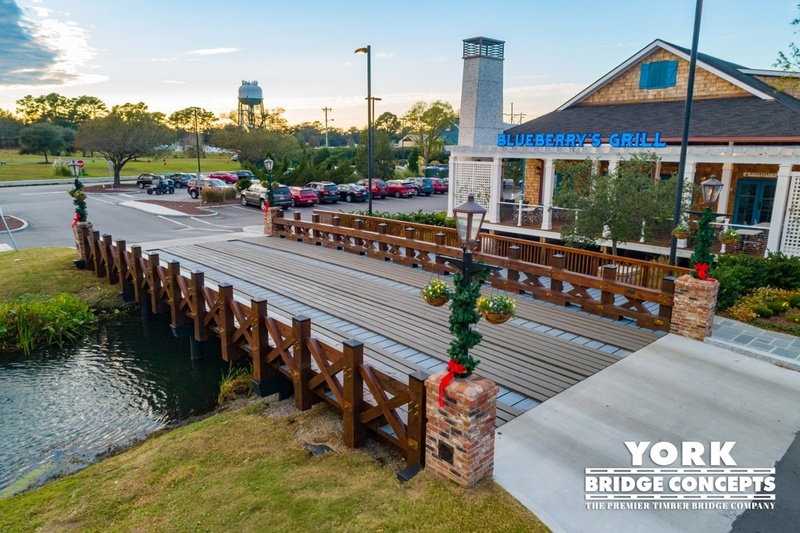 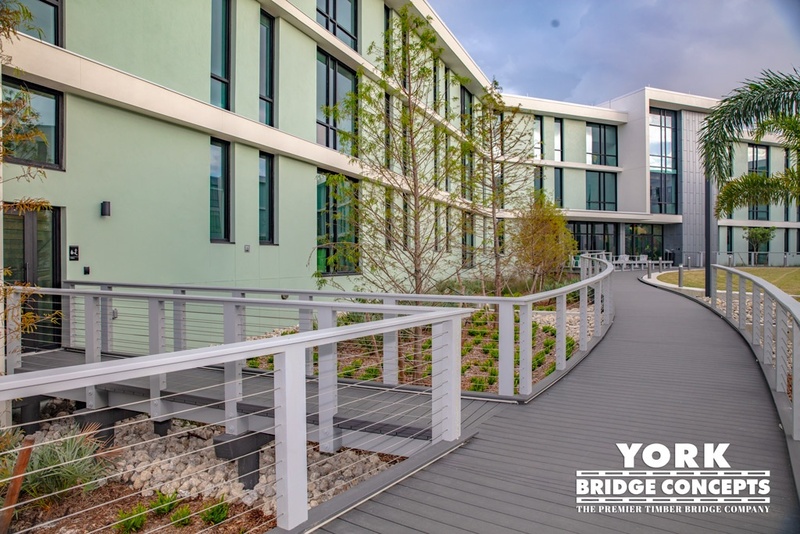 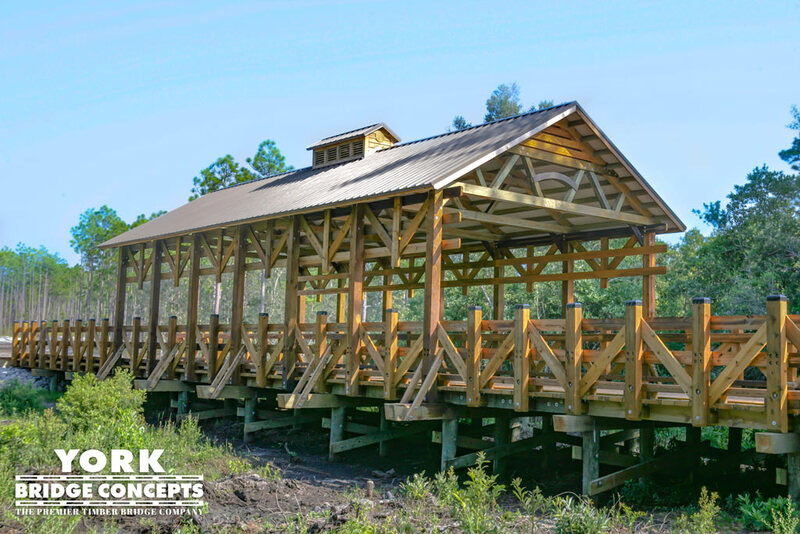 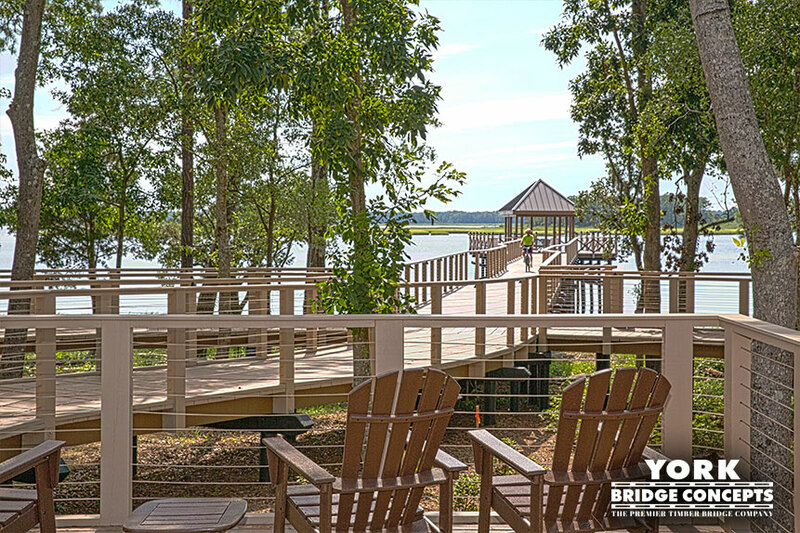 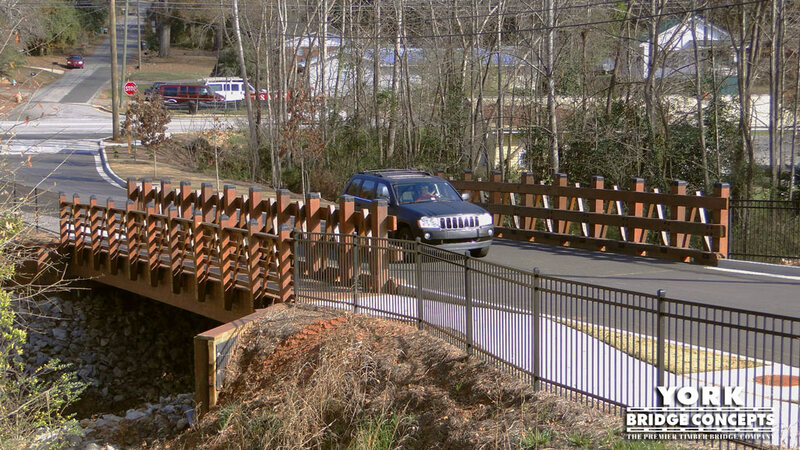 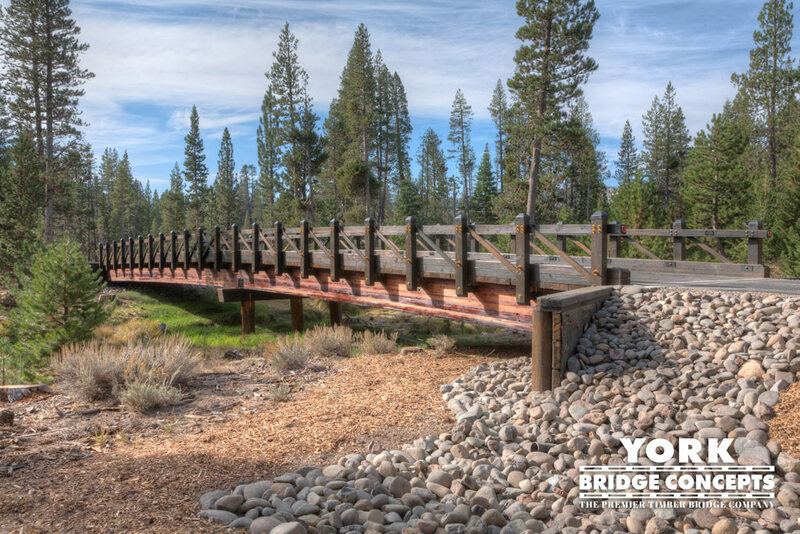 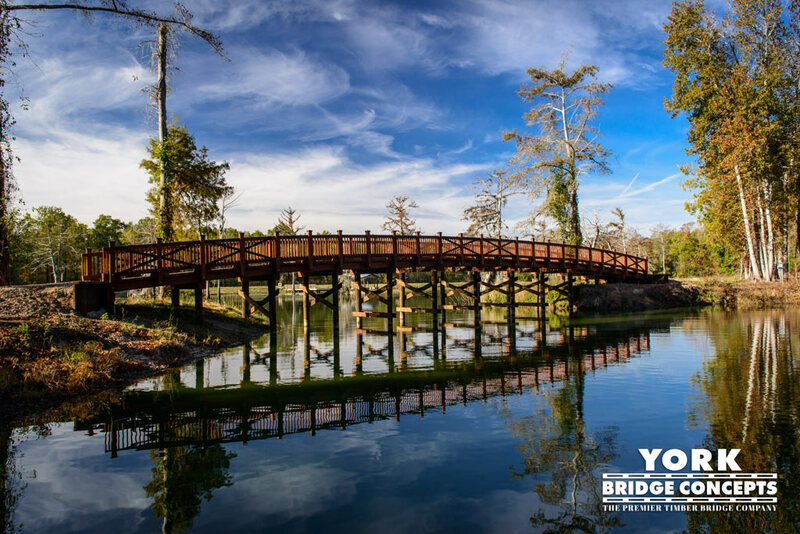 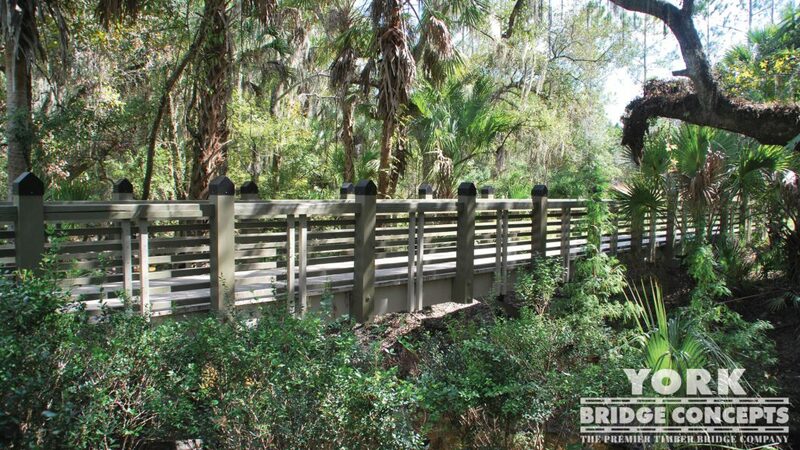 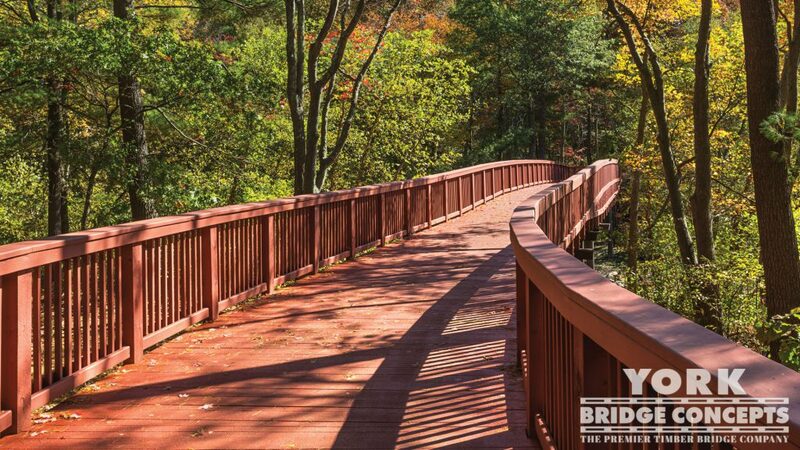 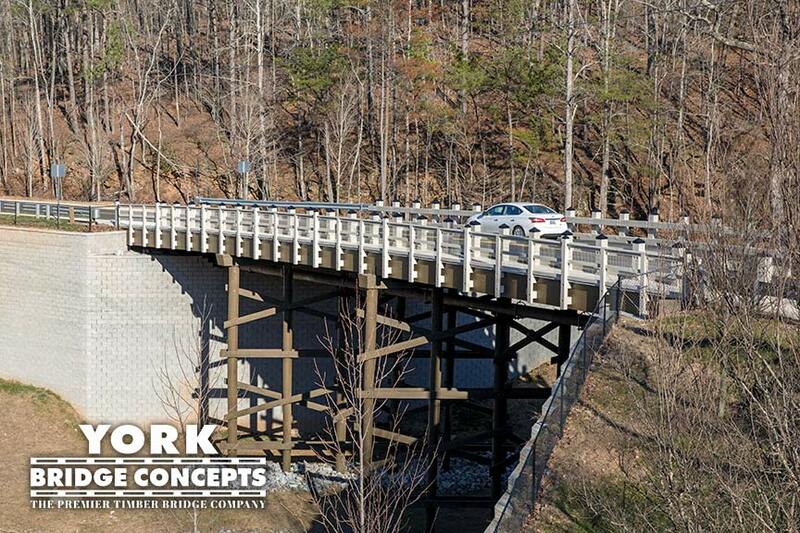 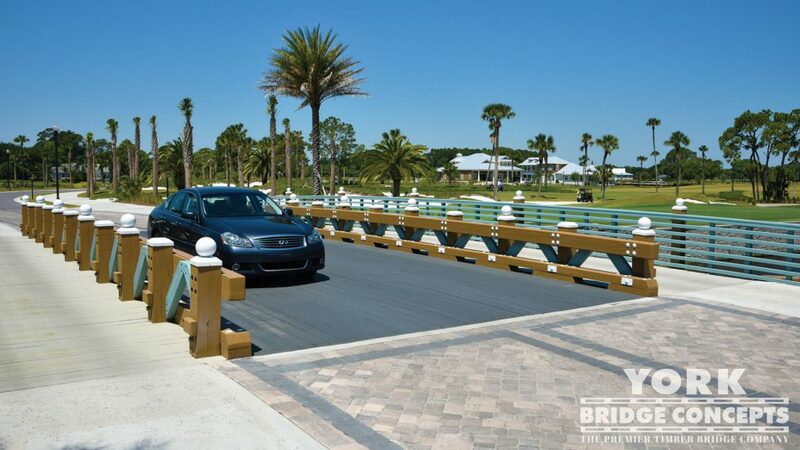 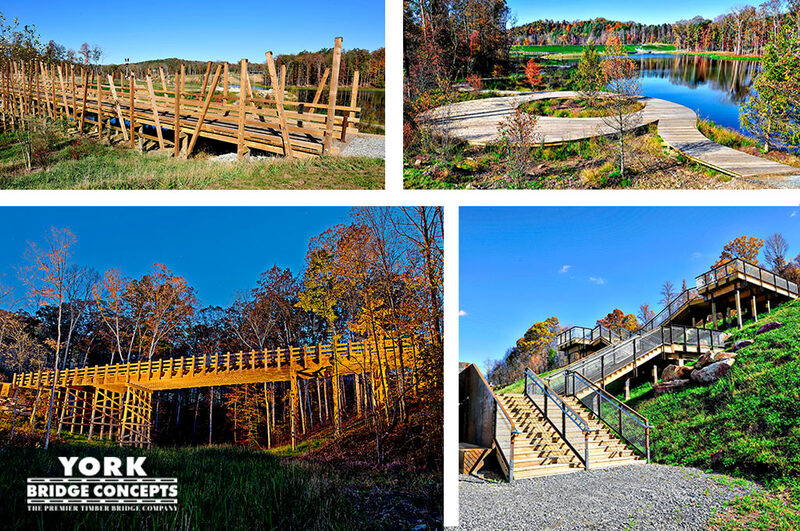 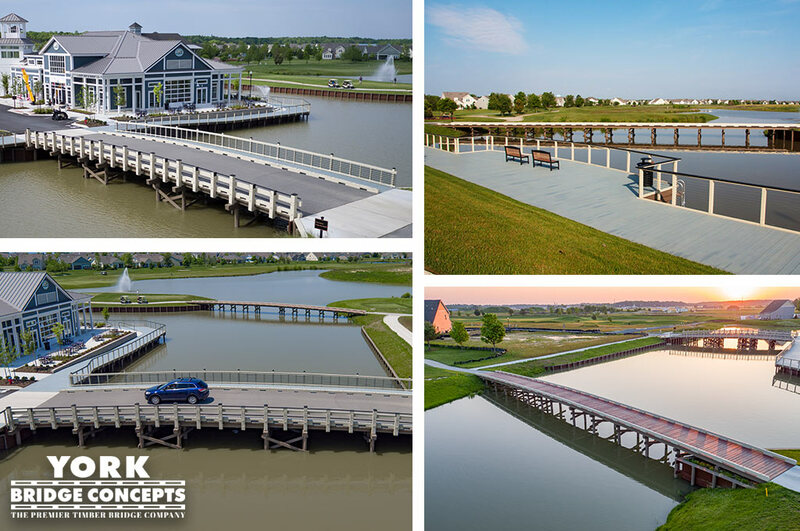 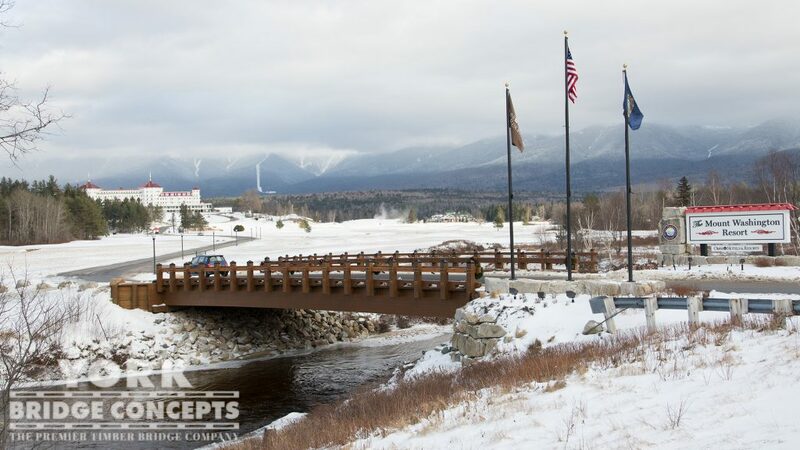 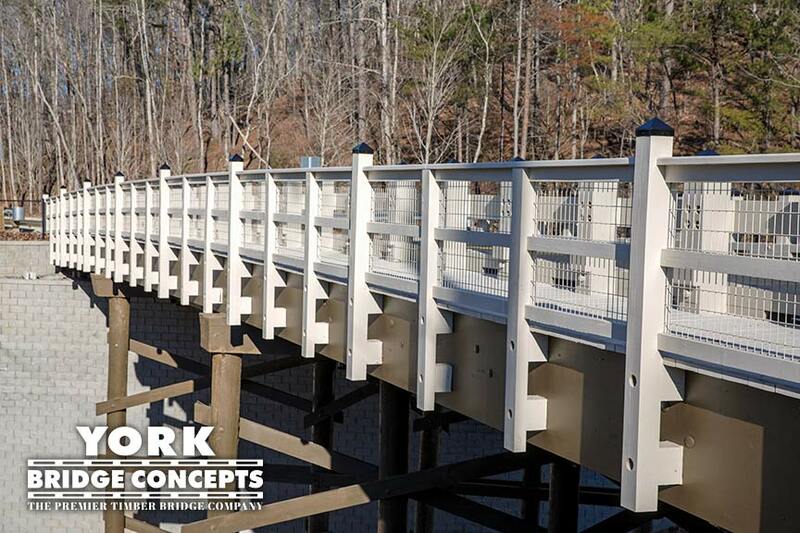 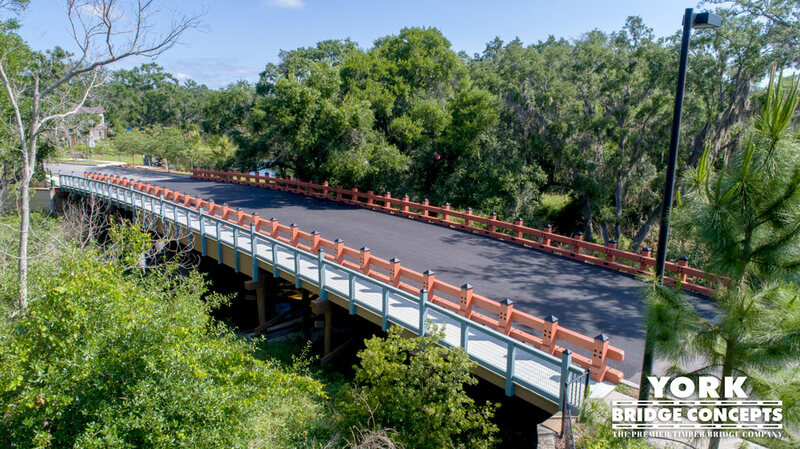 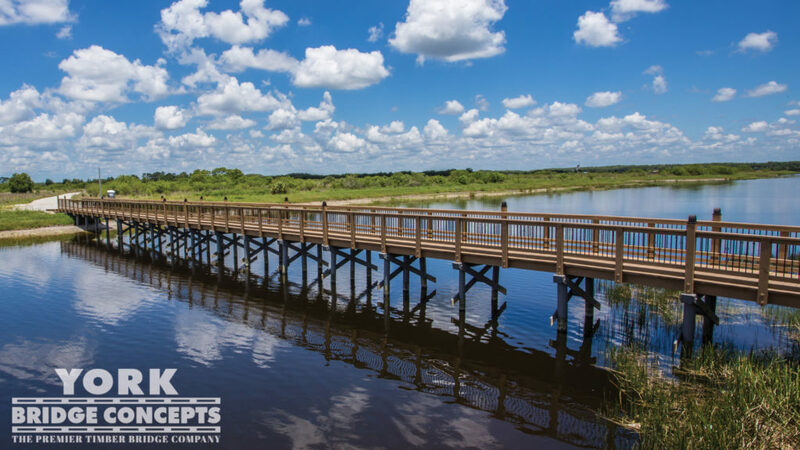 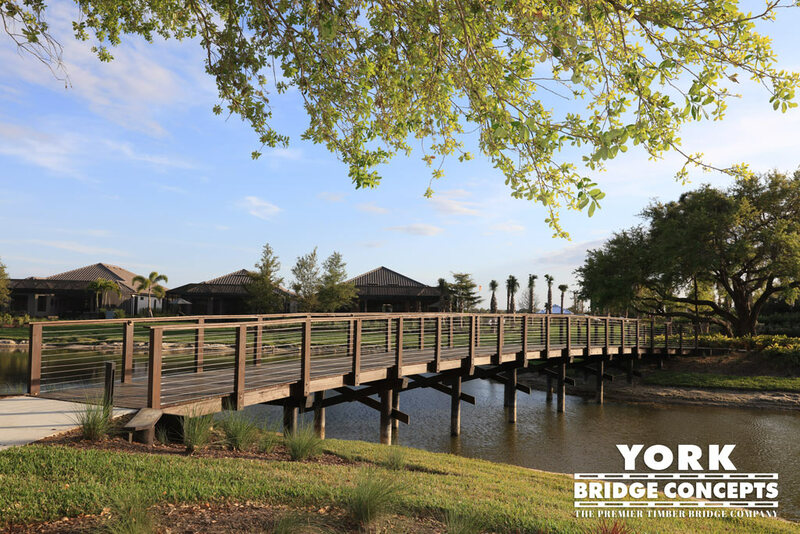 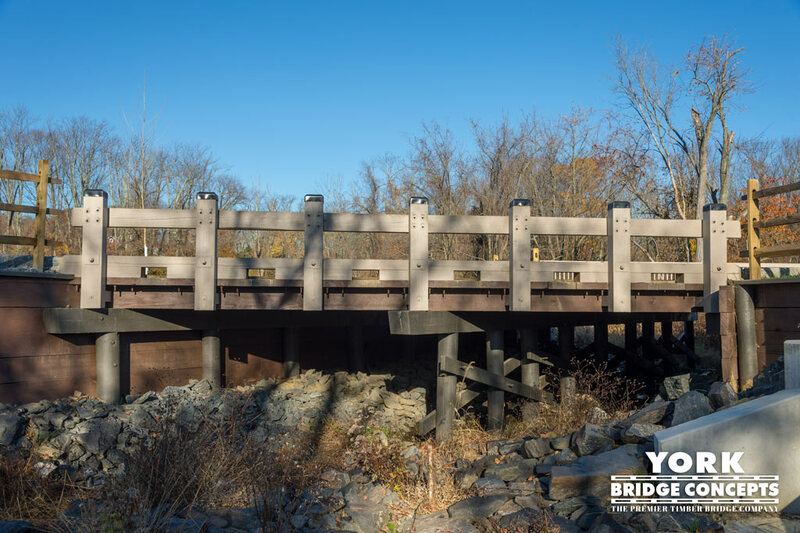 Even though different materials were considered for the bridge, York Bridge Concepts was able to provide a cost effective crossing solution that was attractive and blended well with the natural environment. 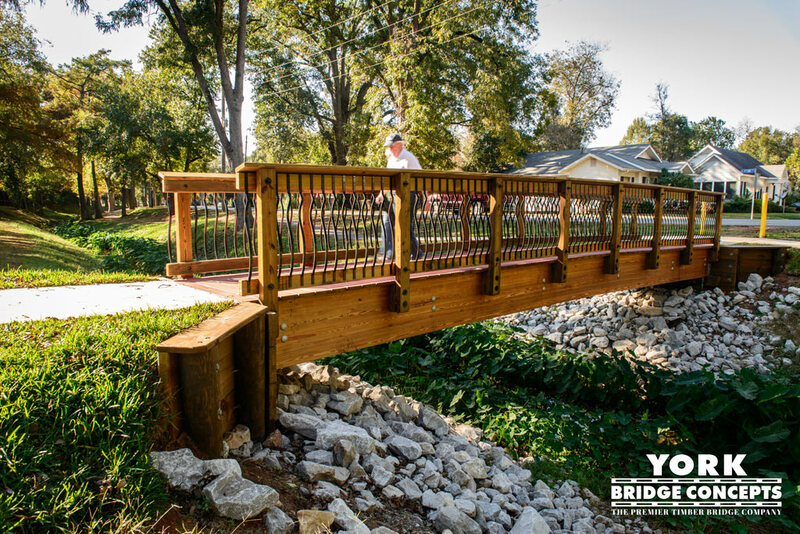 Their field teams were easy to work with, and followed through well with each step of the process. 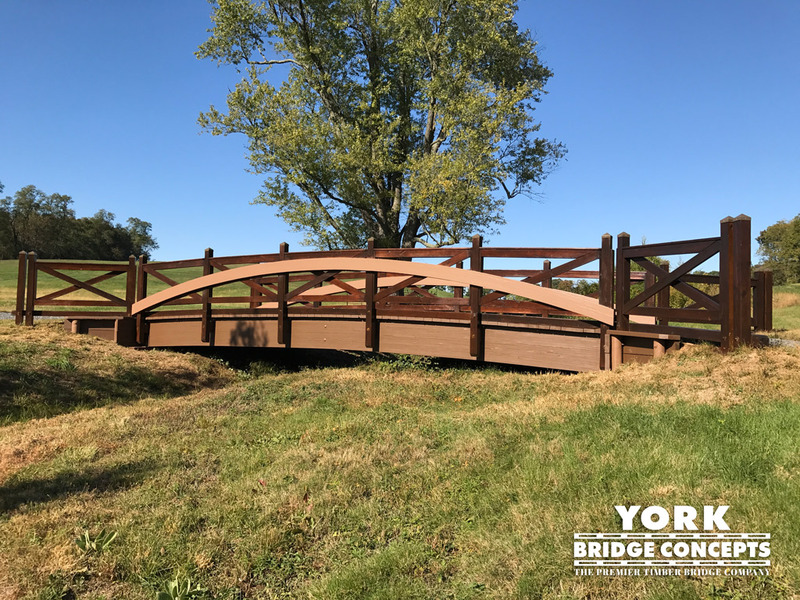 I personally admired the clean design and was impressed by the skills of the construction crew that made a challenging build look almost simple. 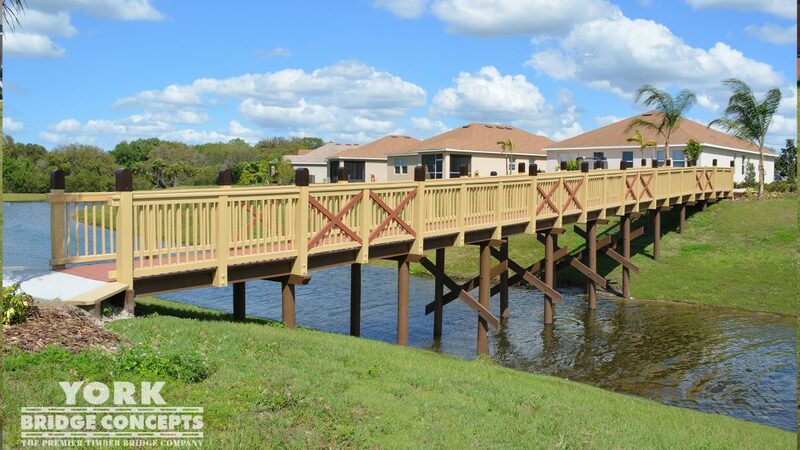 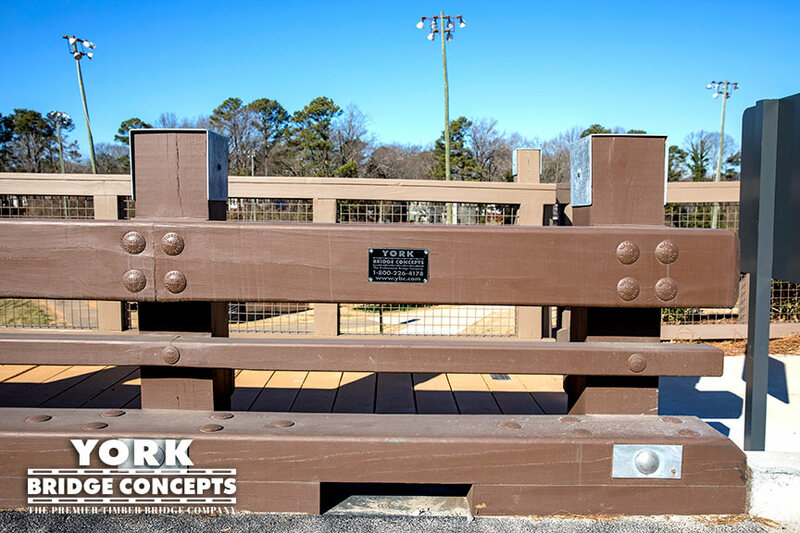 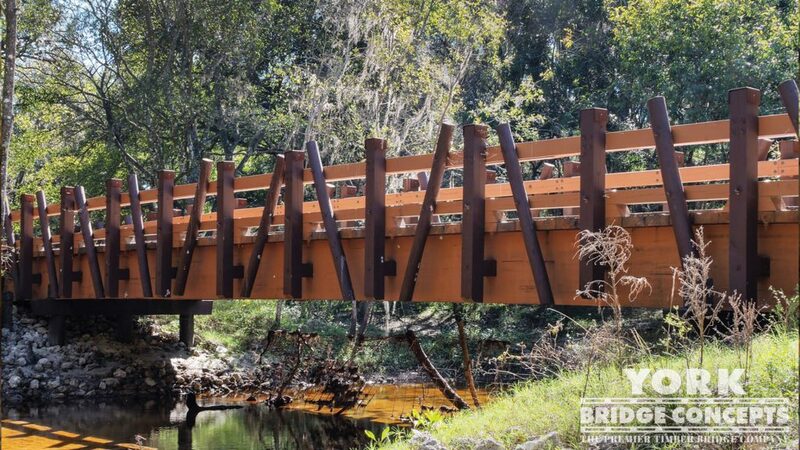 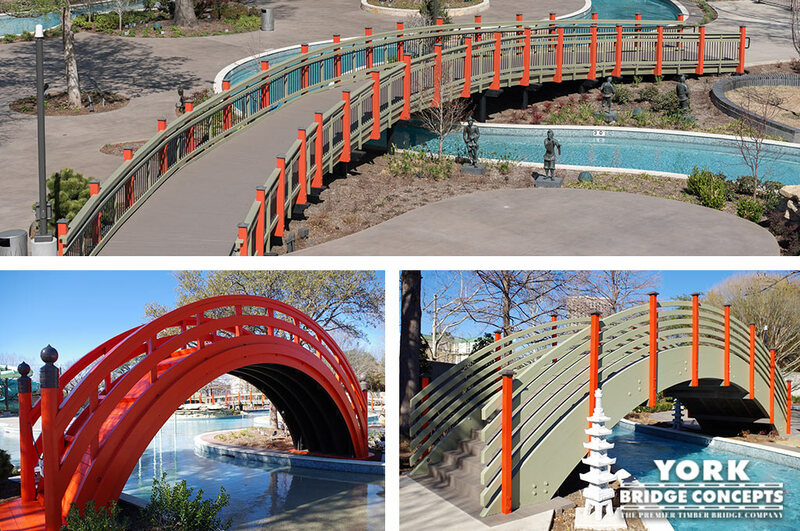 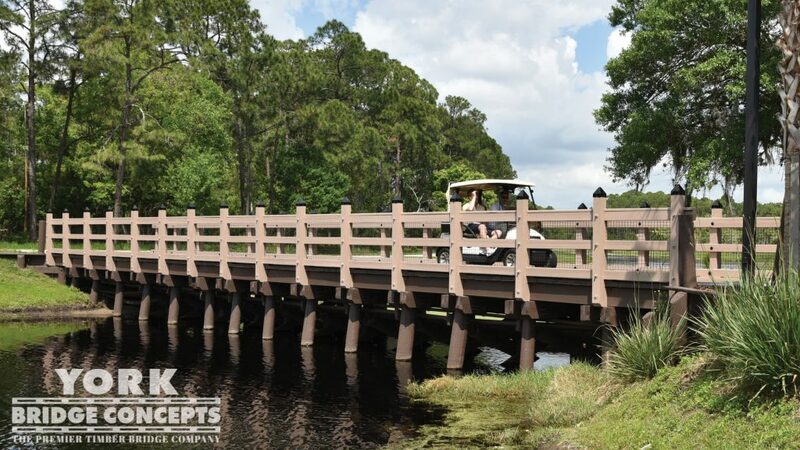 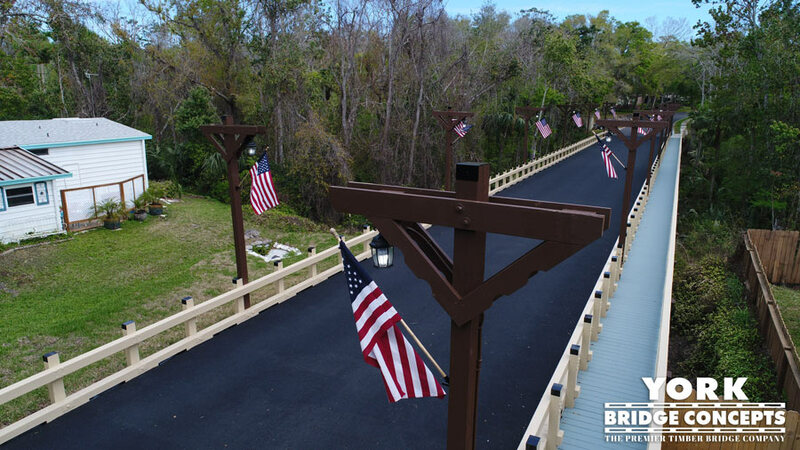 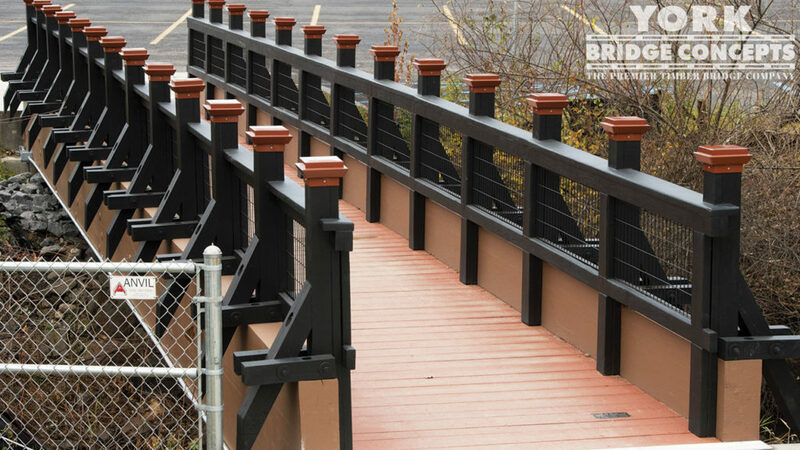 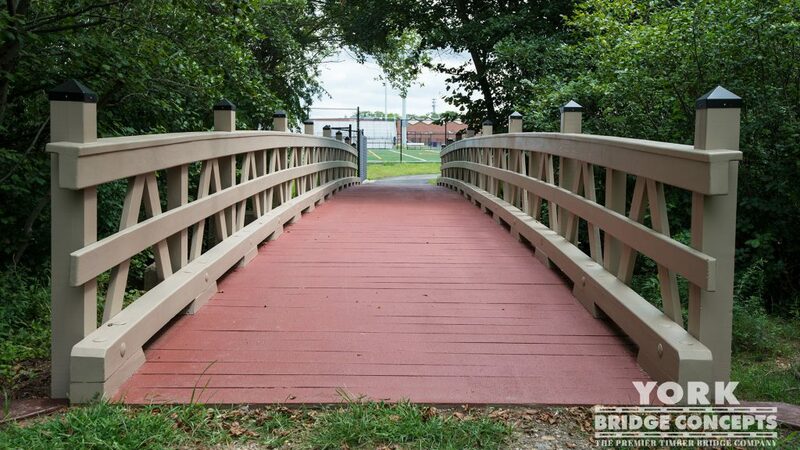 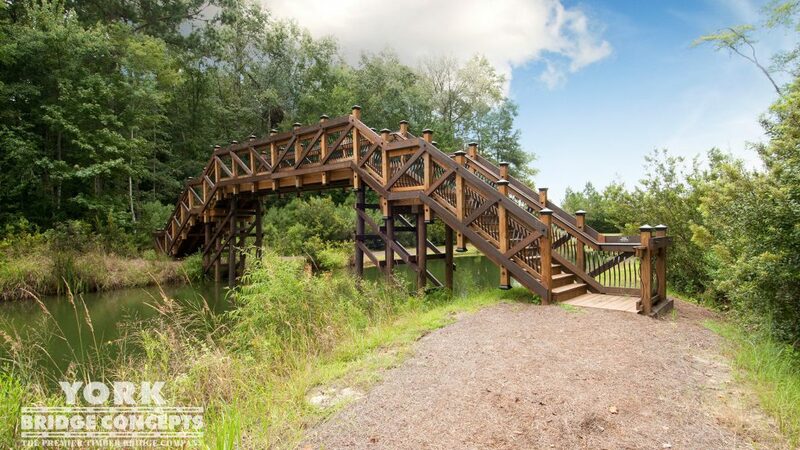 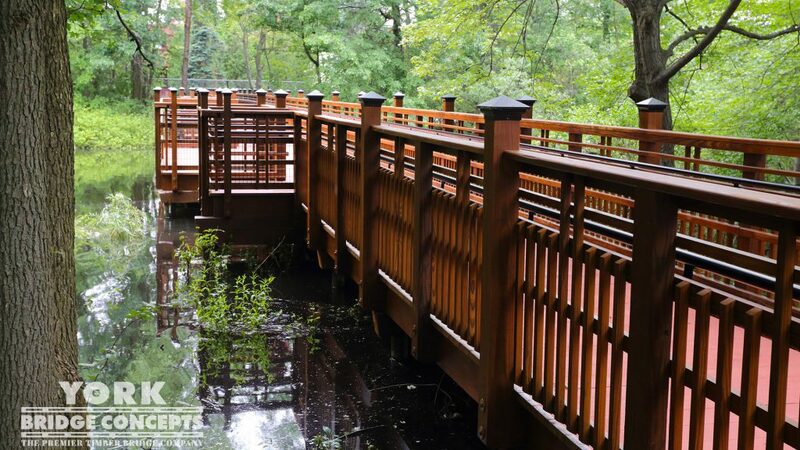 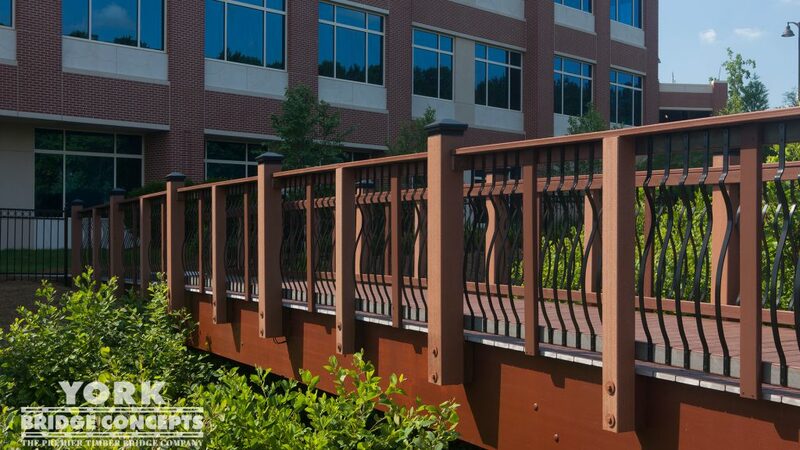 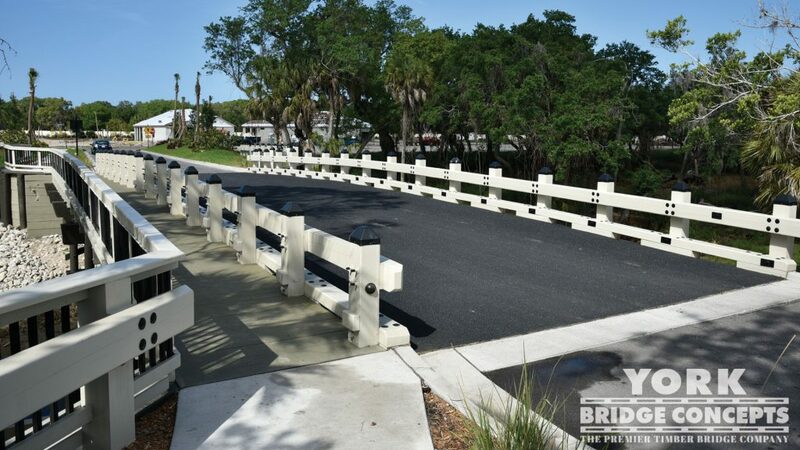 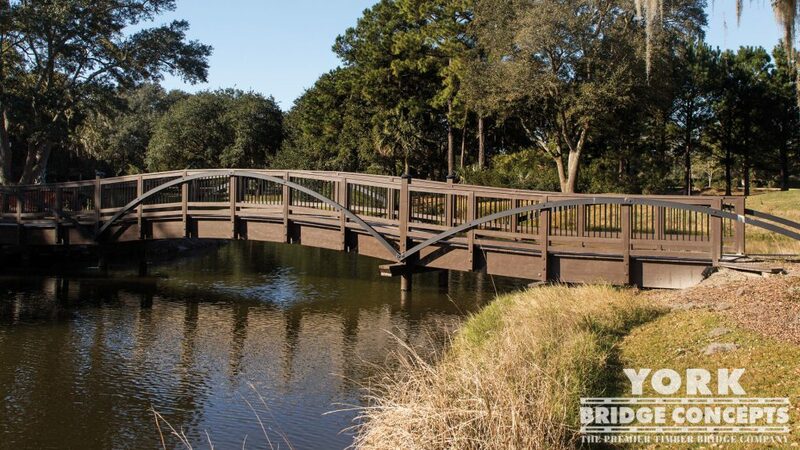 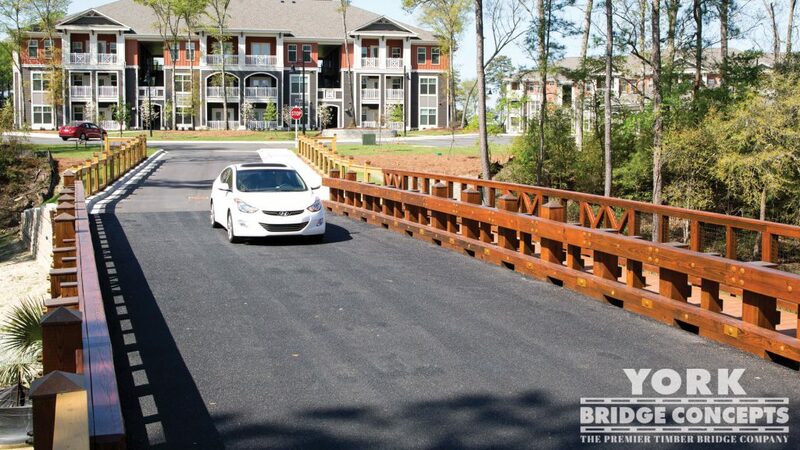 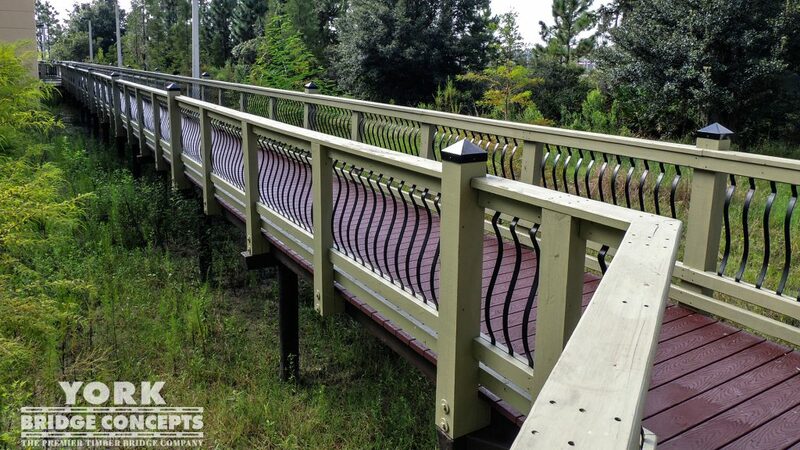 We were able to choose custom coatings, and enjoyed having more style options with a timber bridge than we would with other materials.